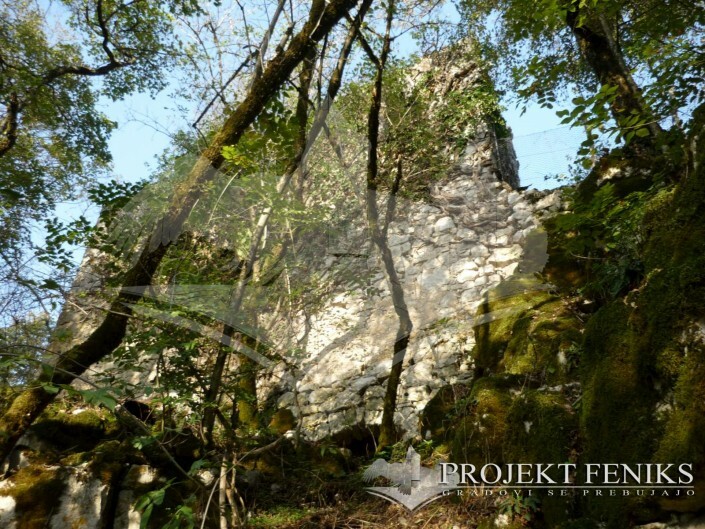 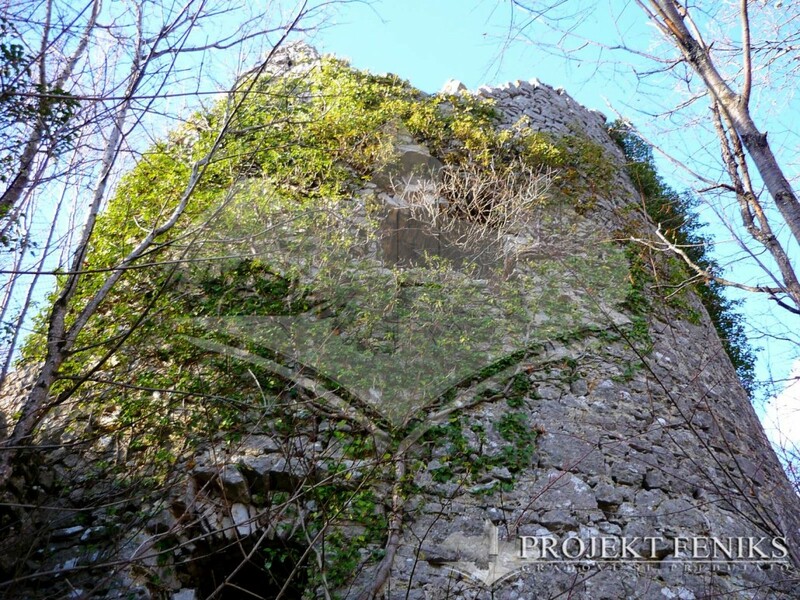 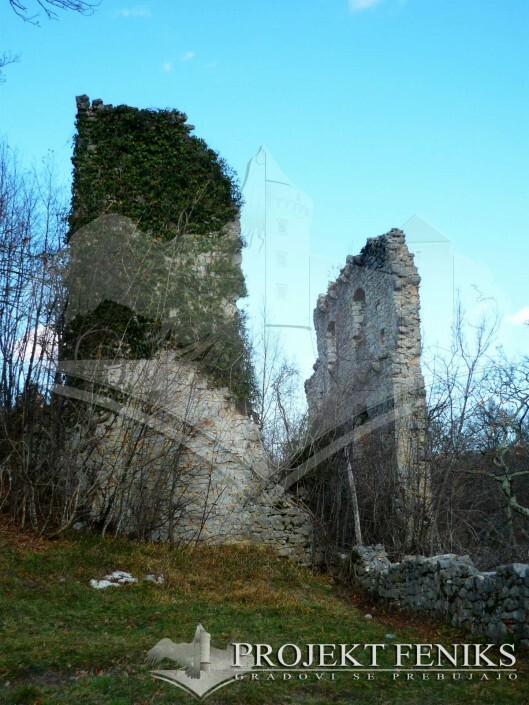 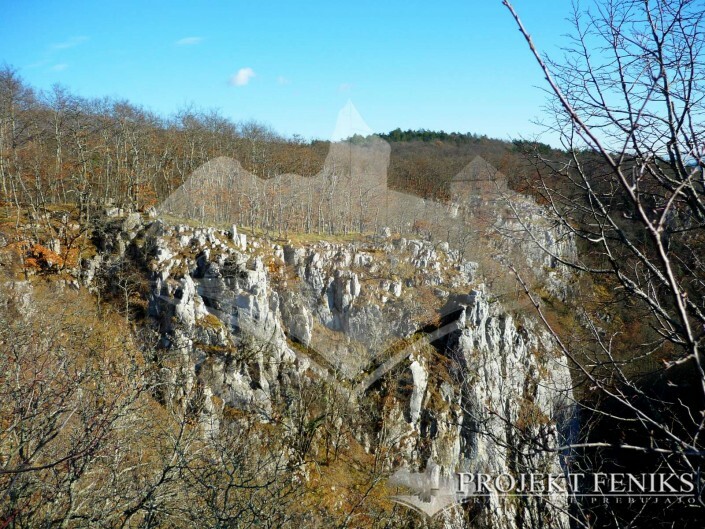 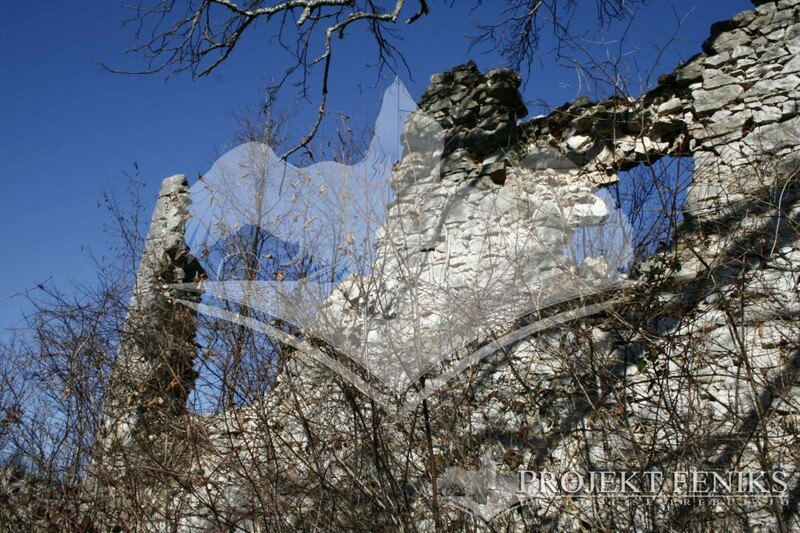 Built on one of the highest cliffs of Reka’s river canyon, just a few kilometres from Famlje village and inside the limits that define Škocjan Park’s region we find Školj castle, one of the less known castles in Slovenia. 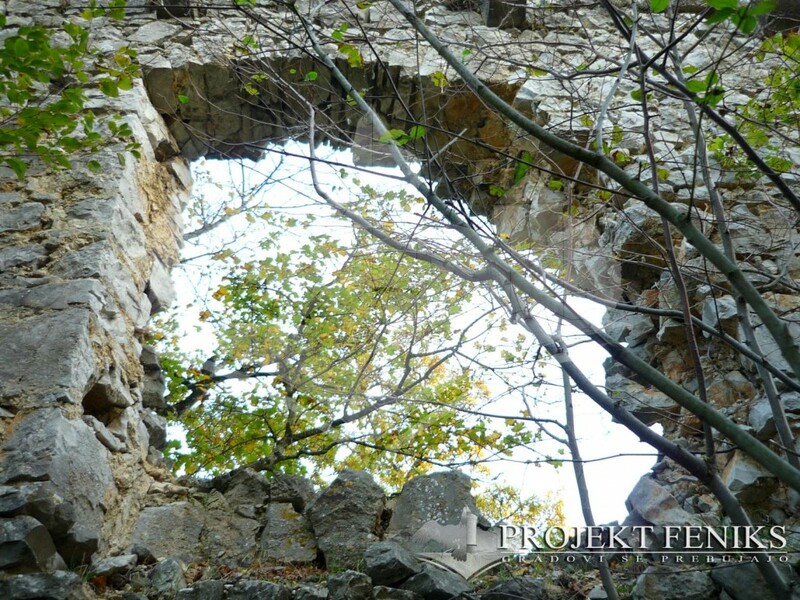 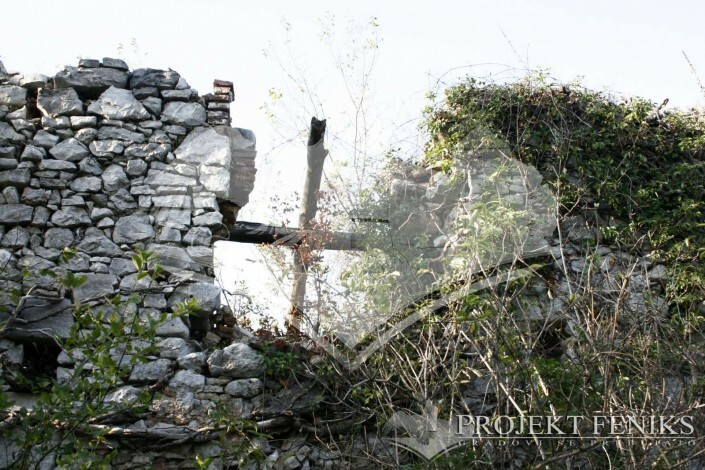 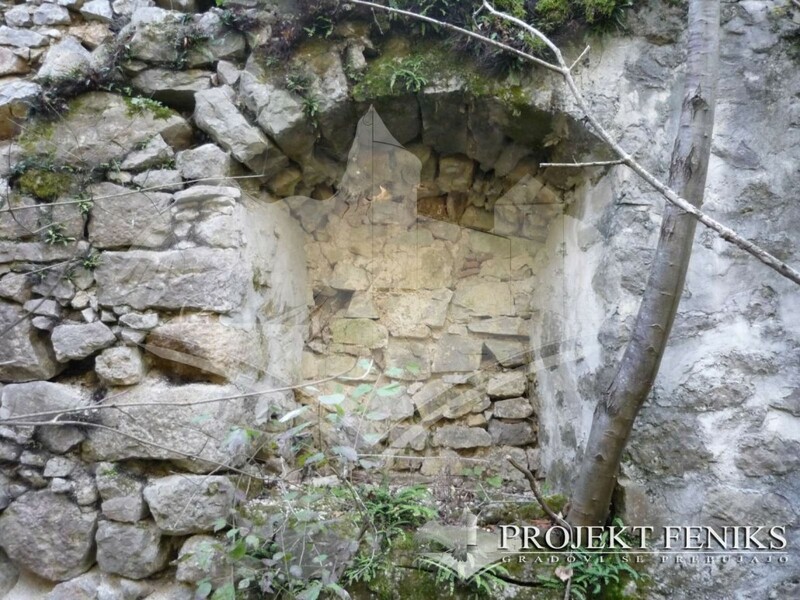 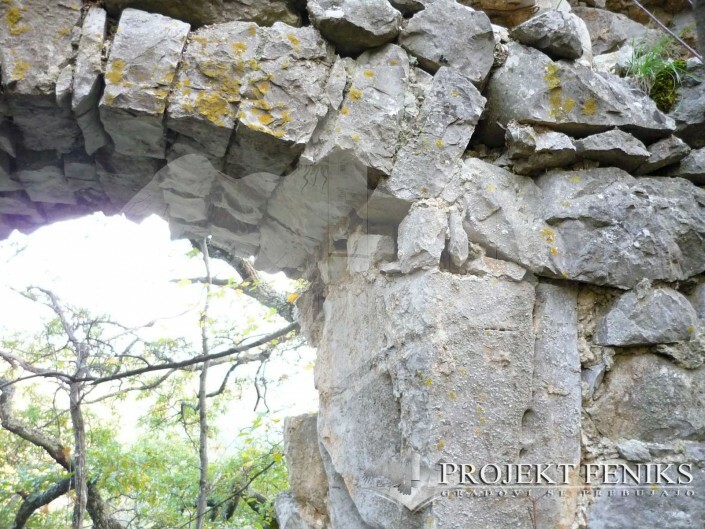 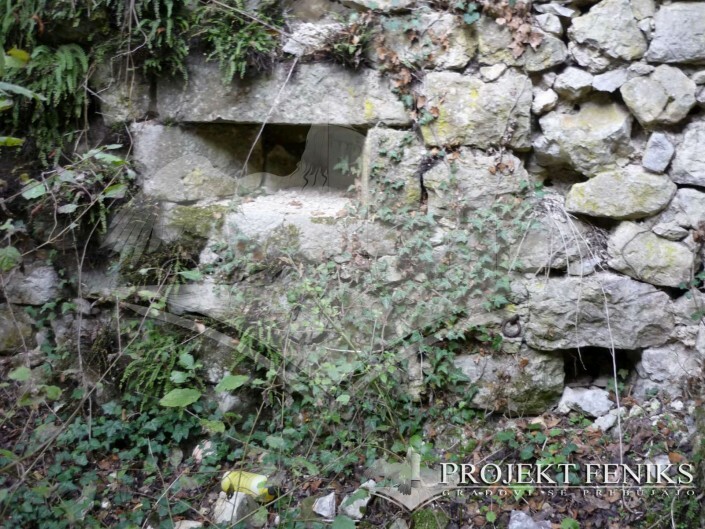 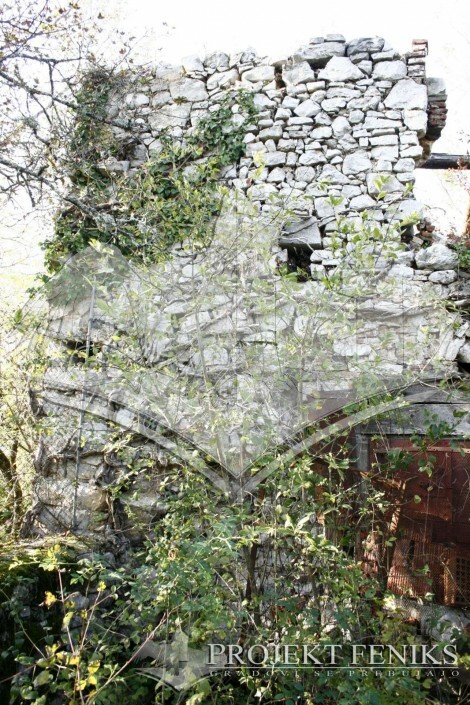 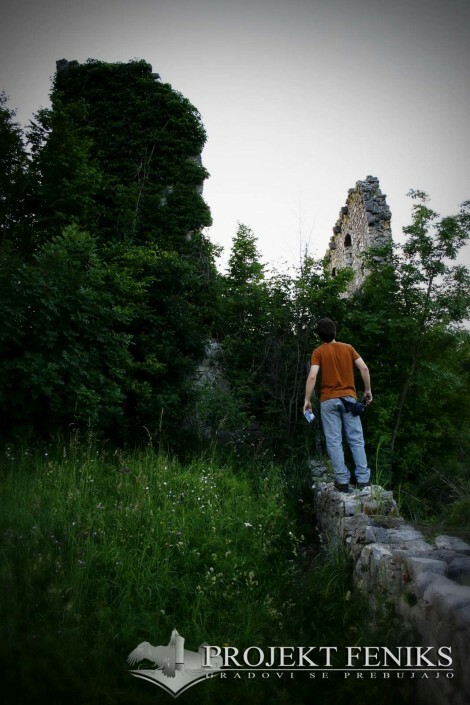 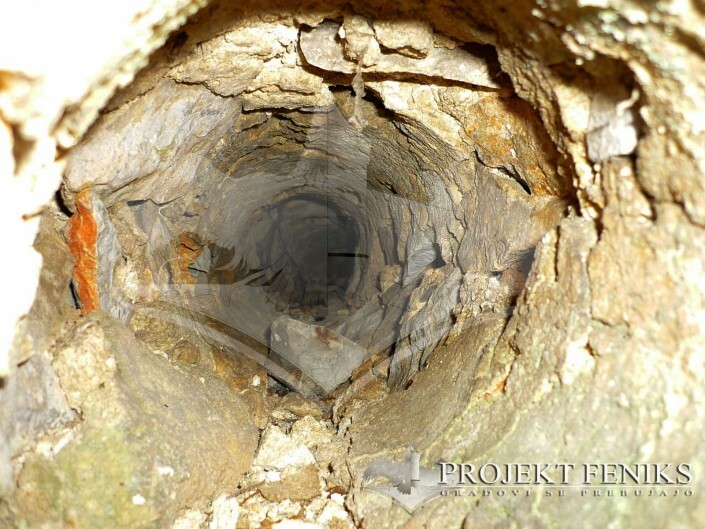 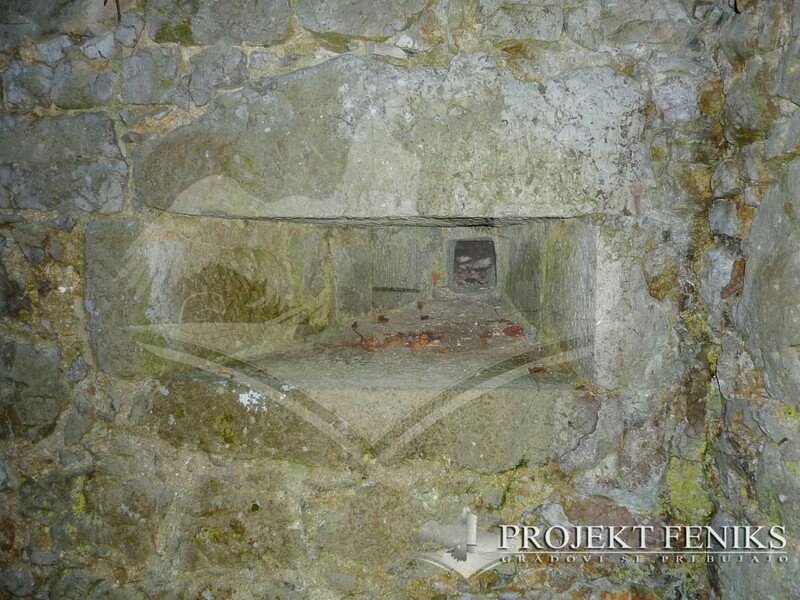 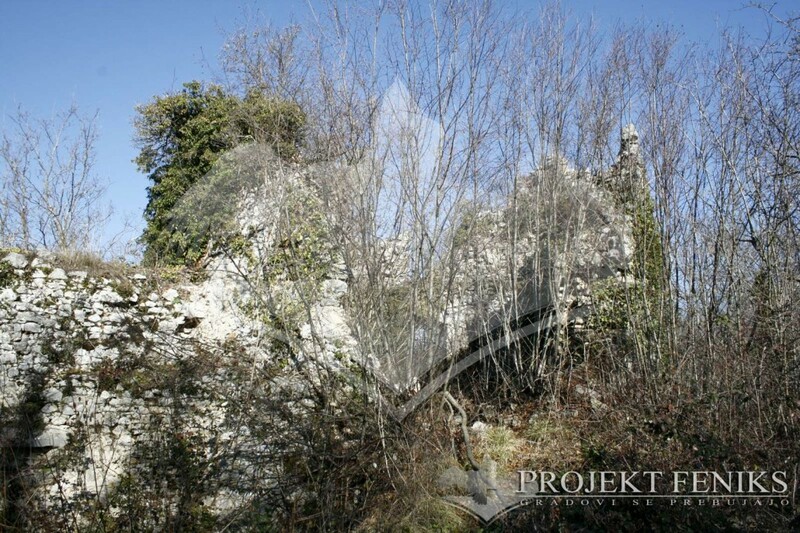 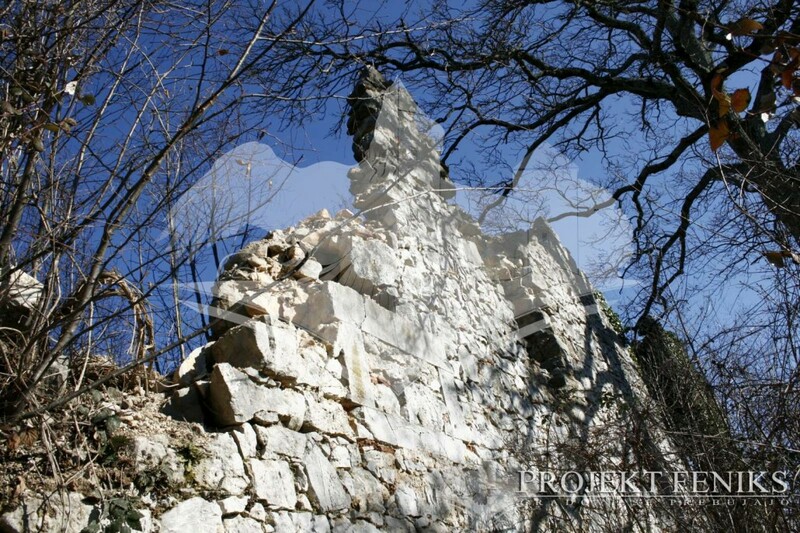 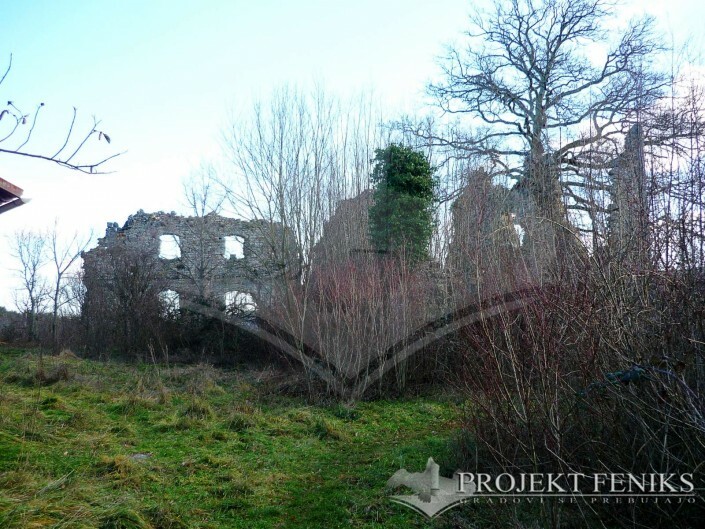 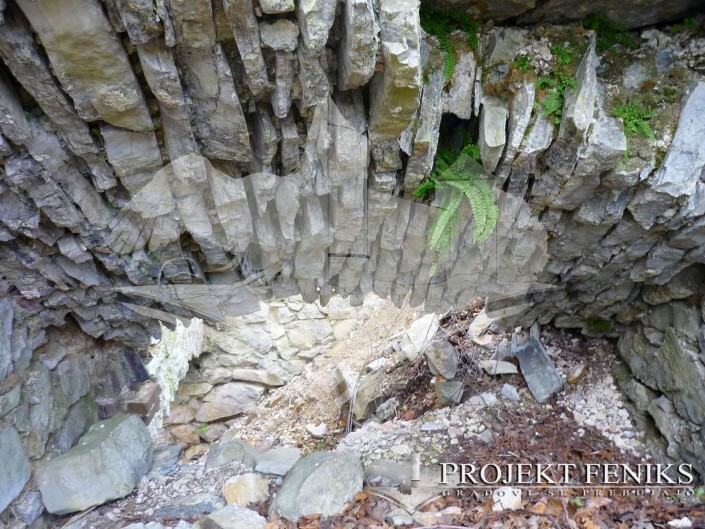 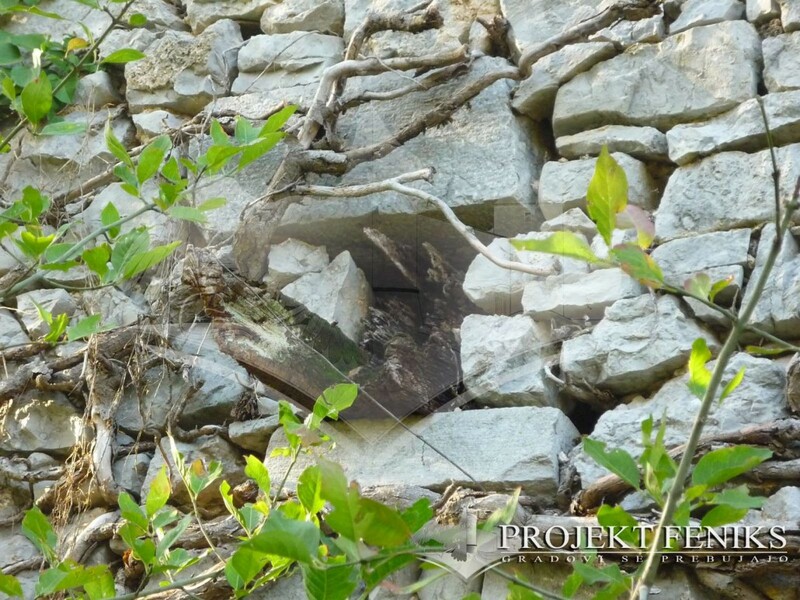 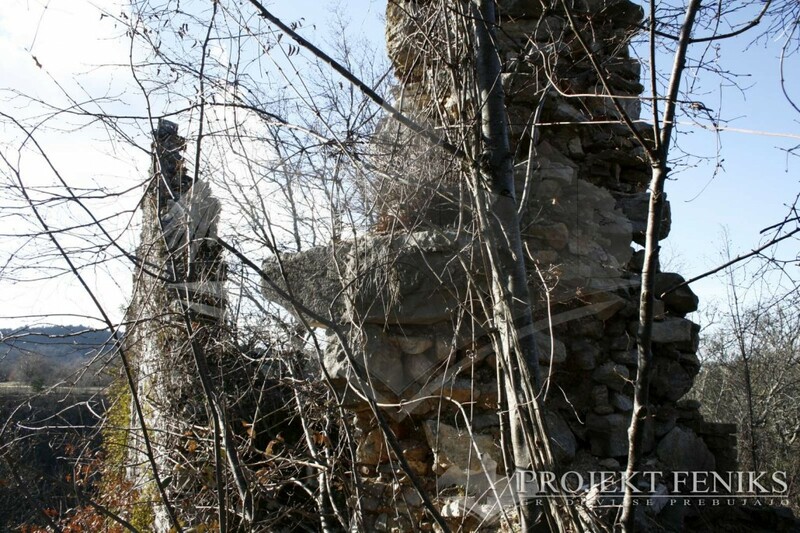 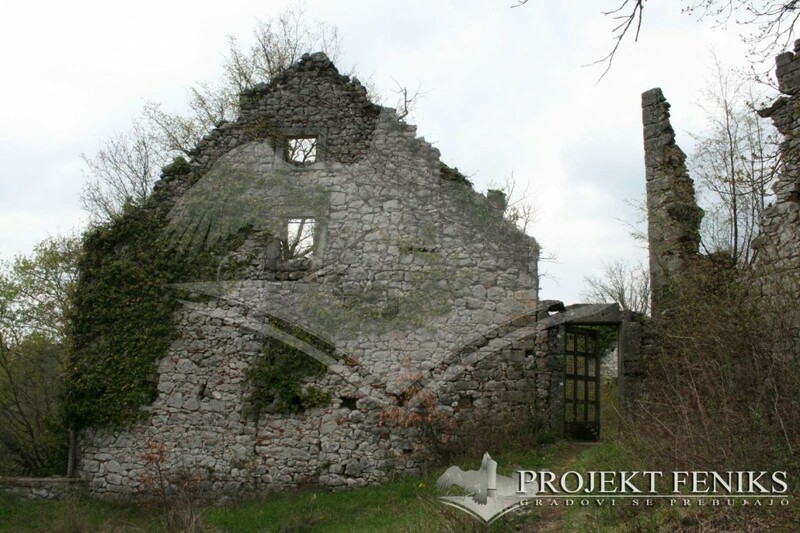 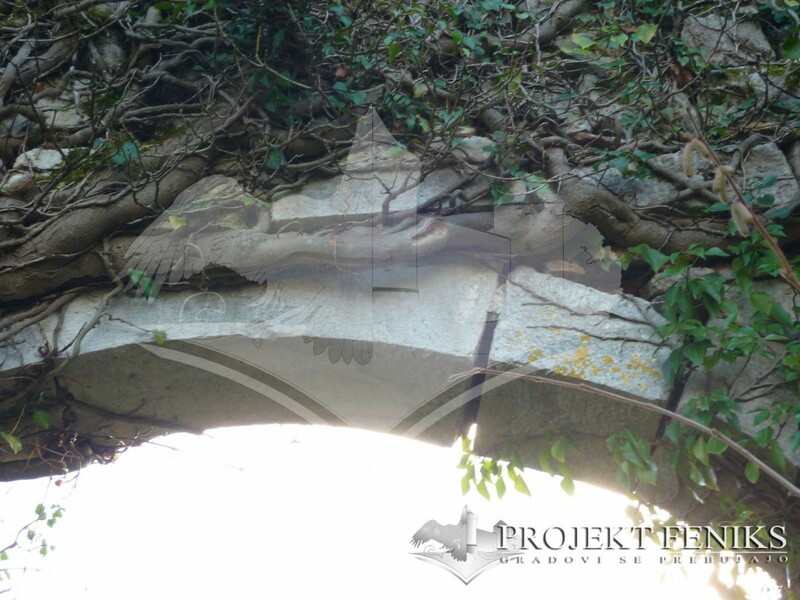 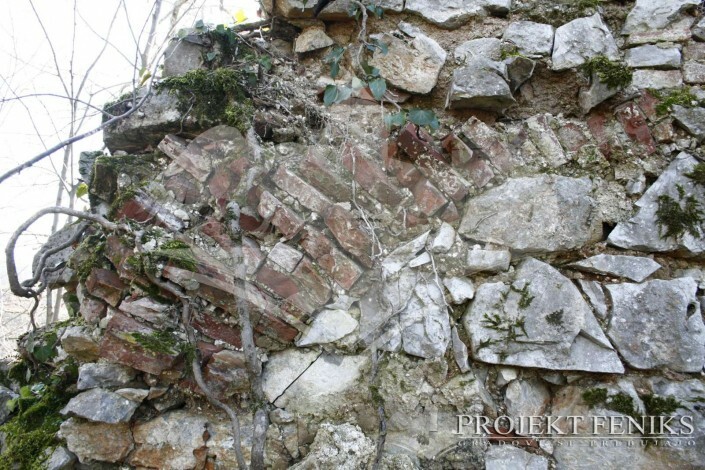 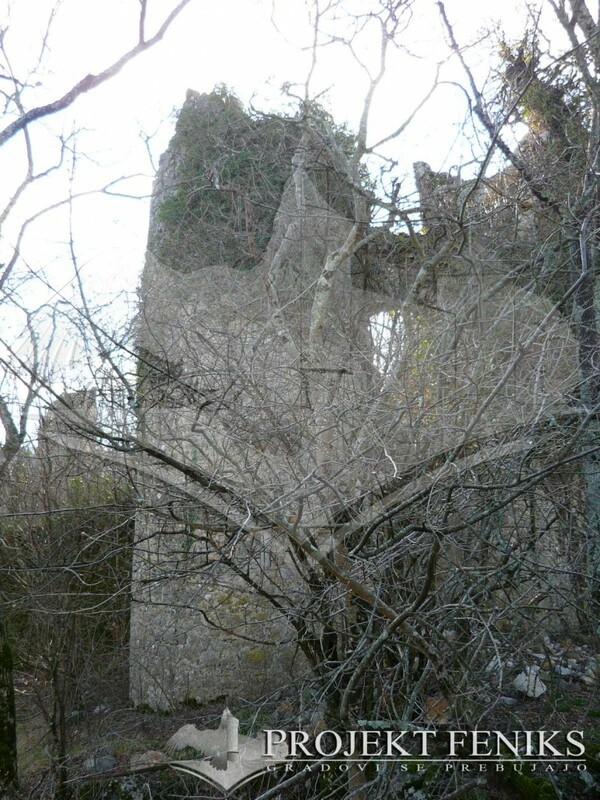 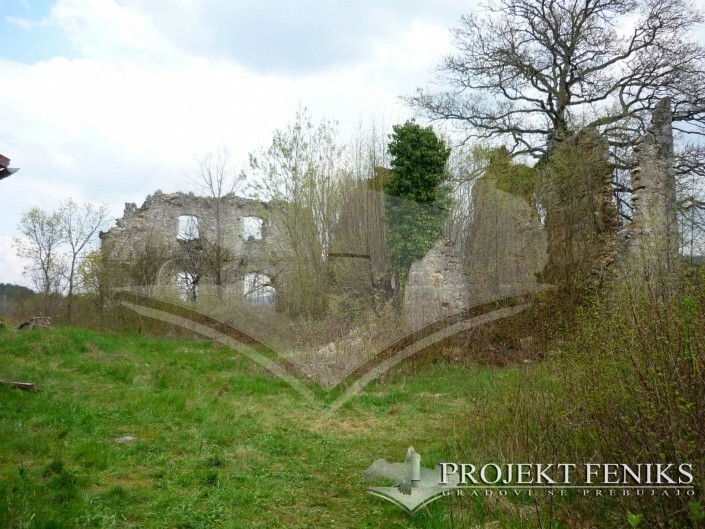 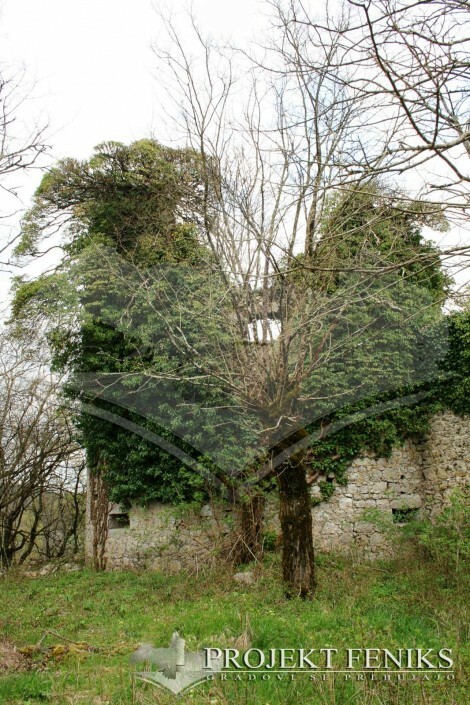 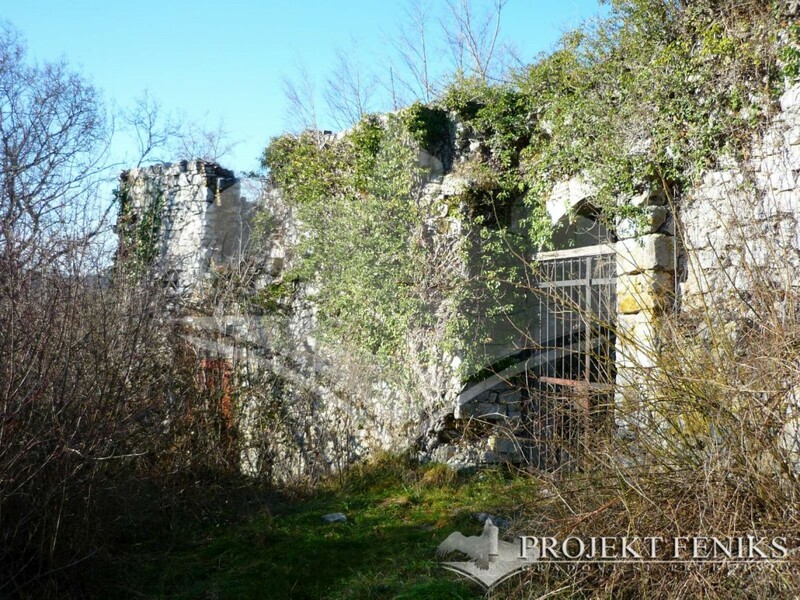 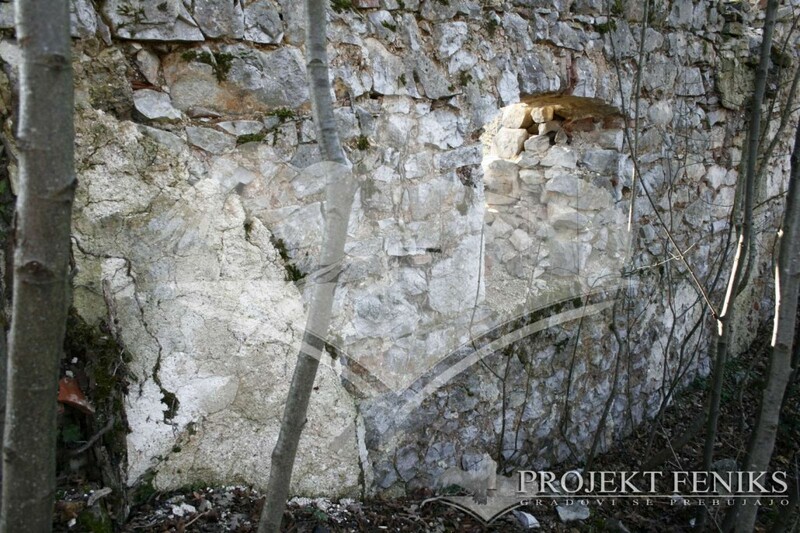 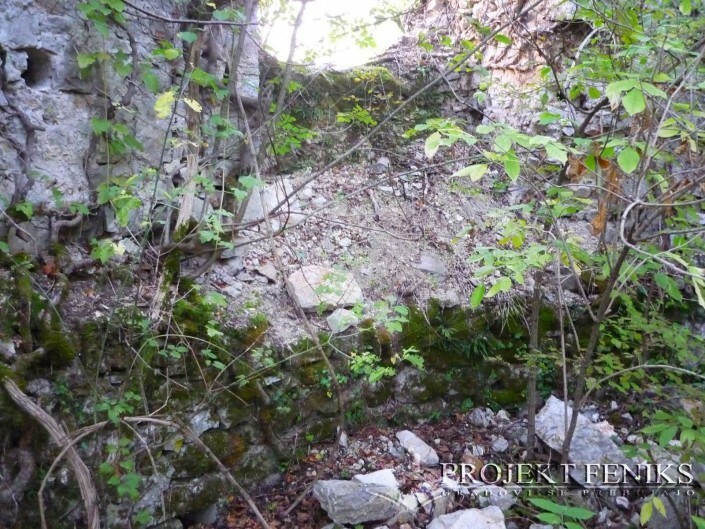 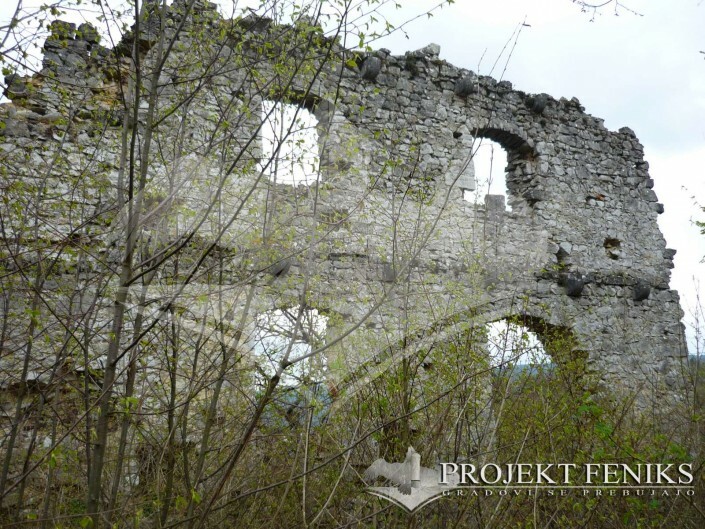 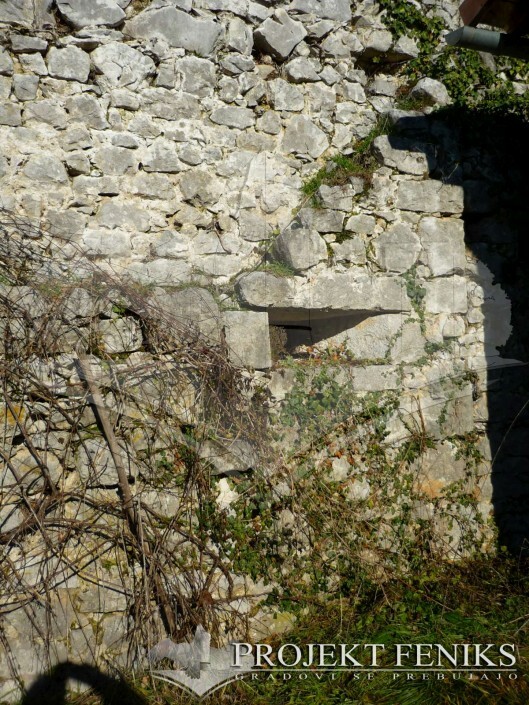 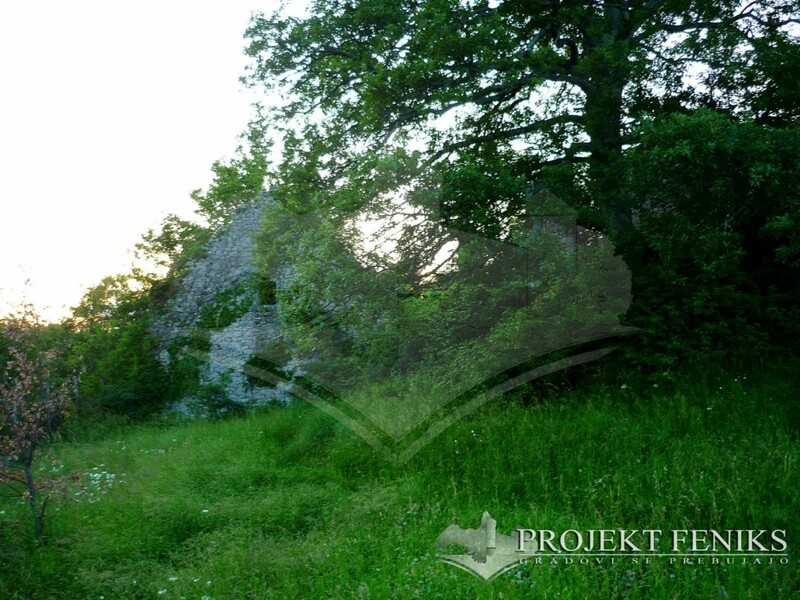 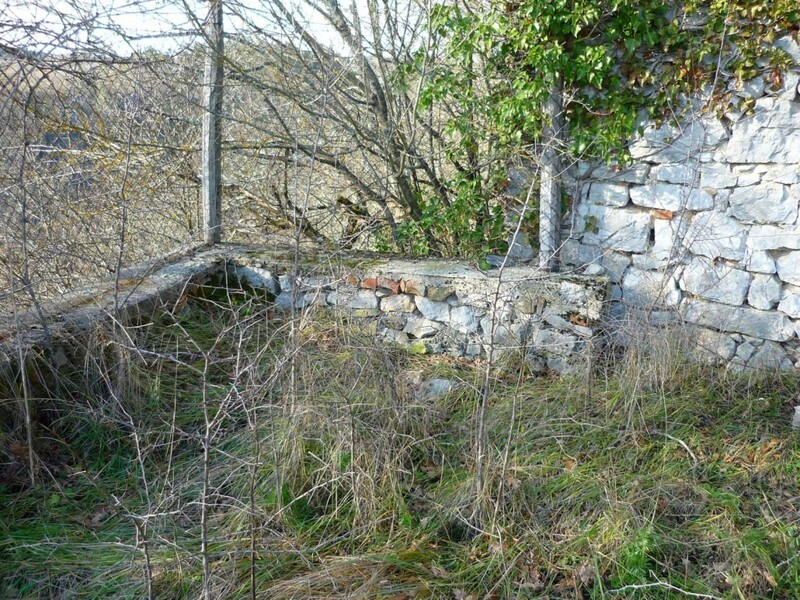 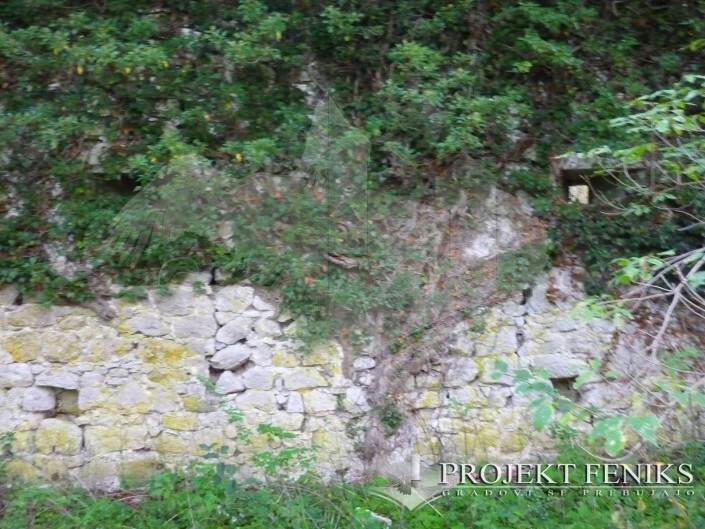 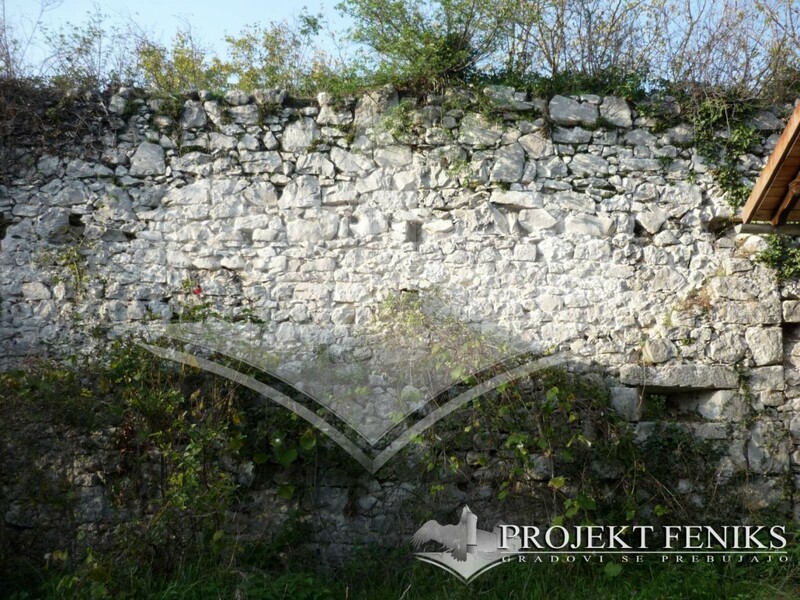 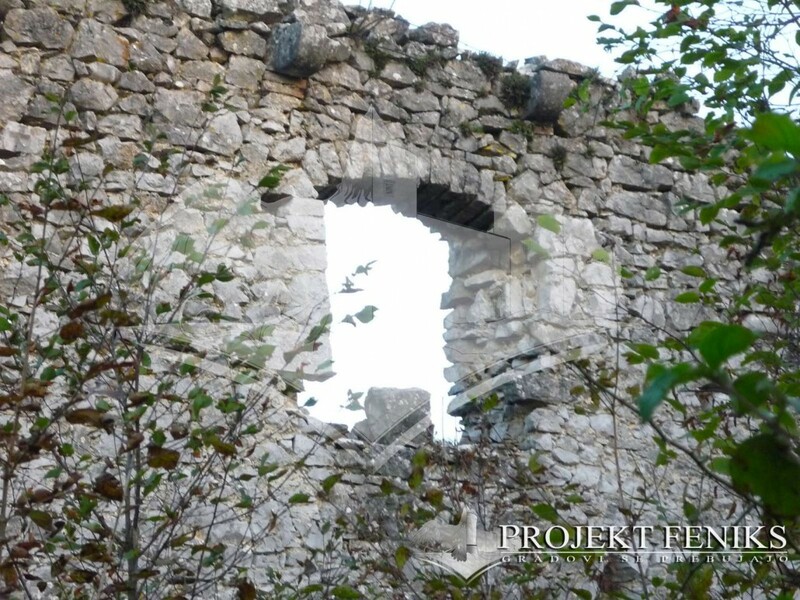 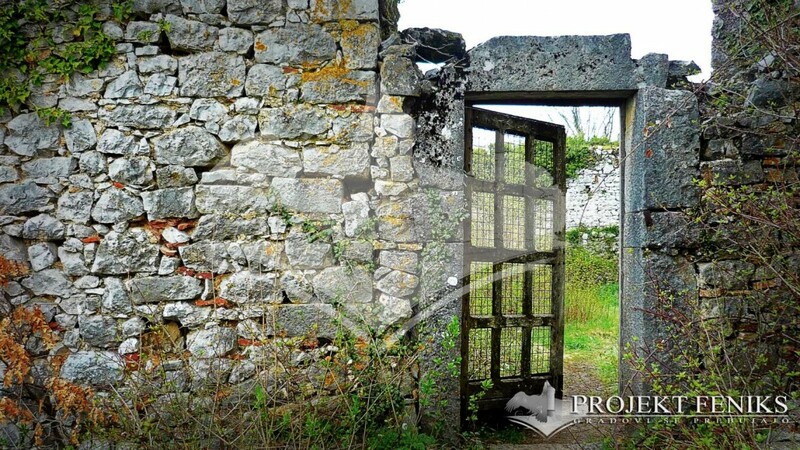 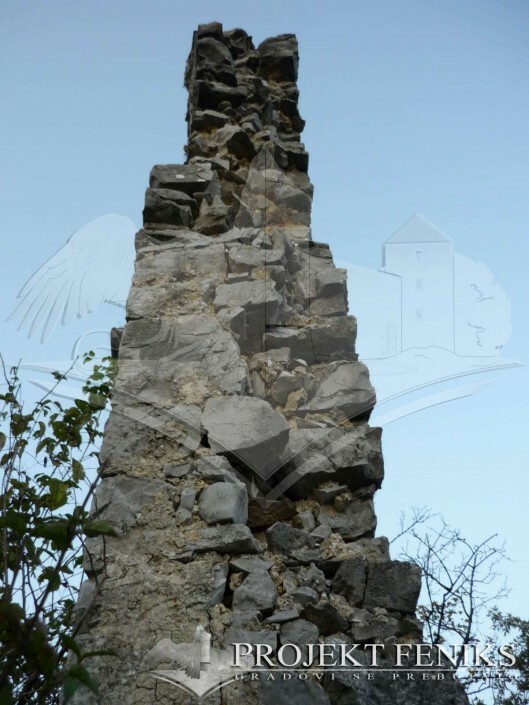 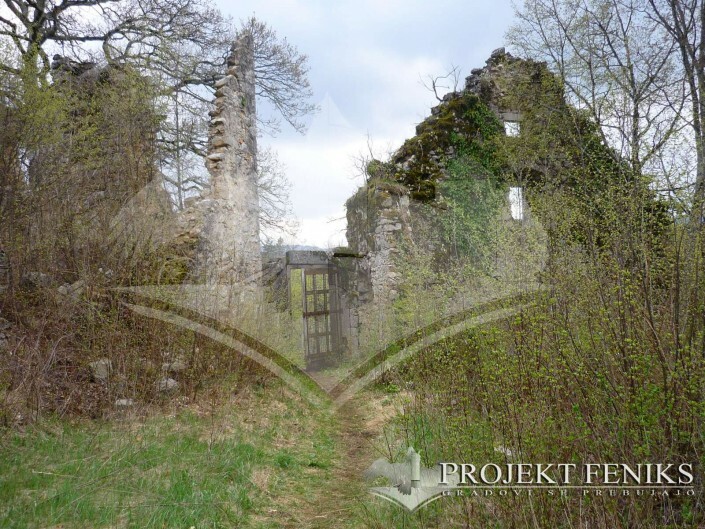 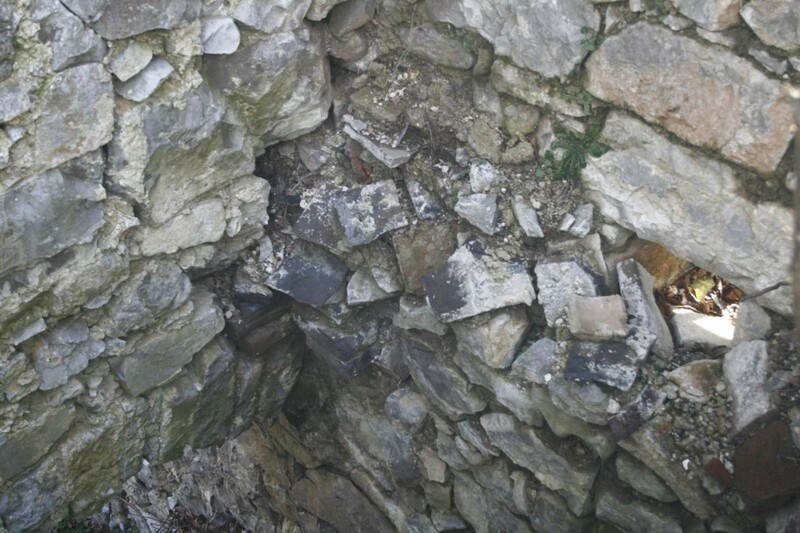 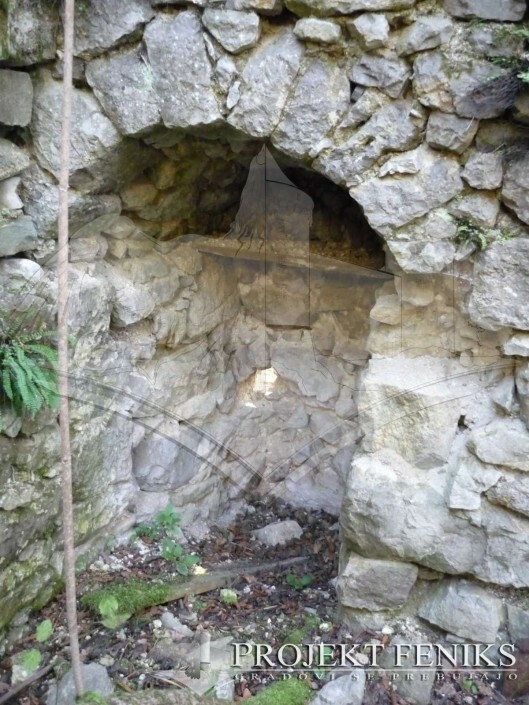 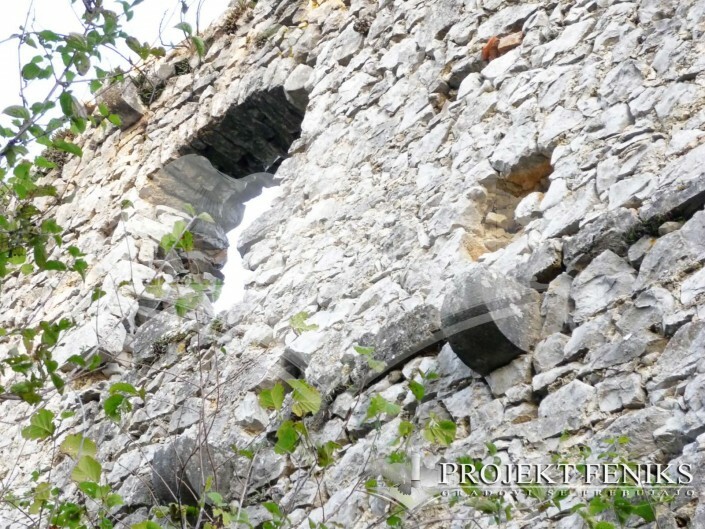 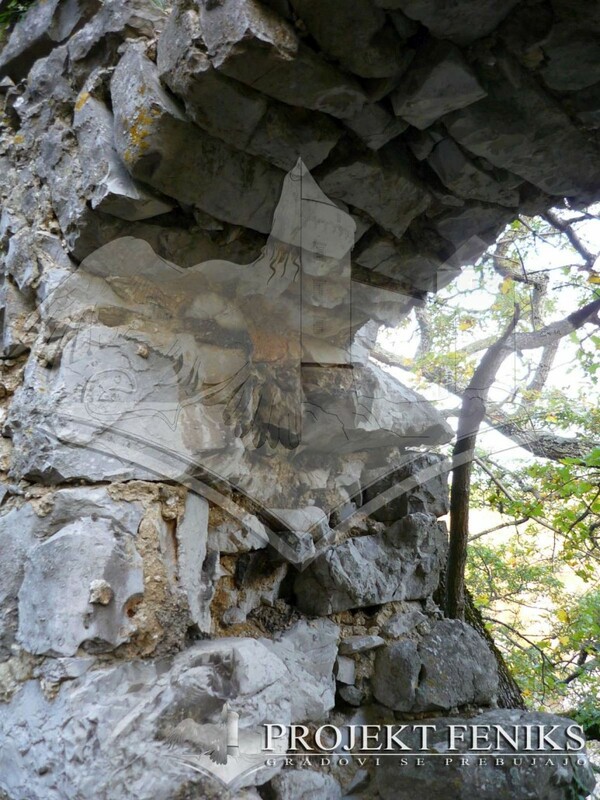 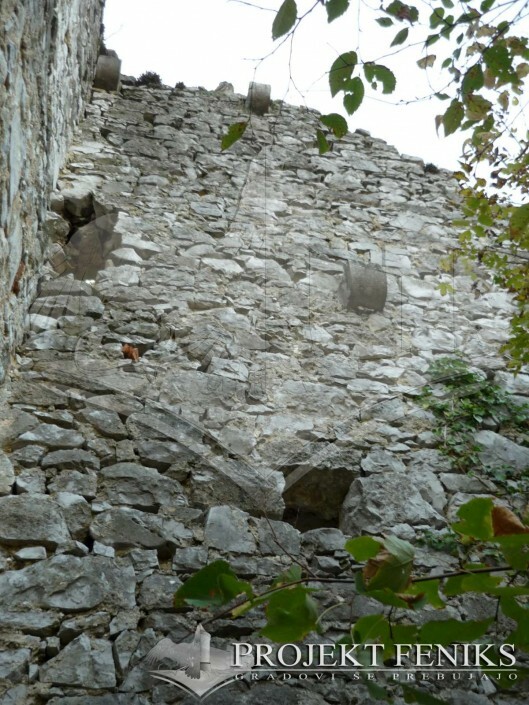 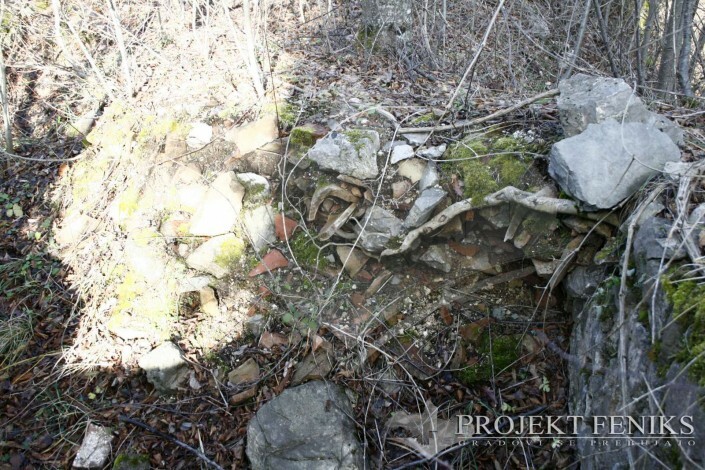 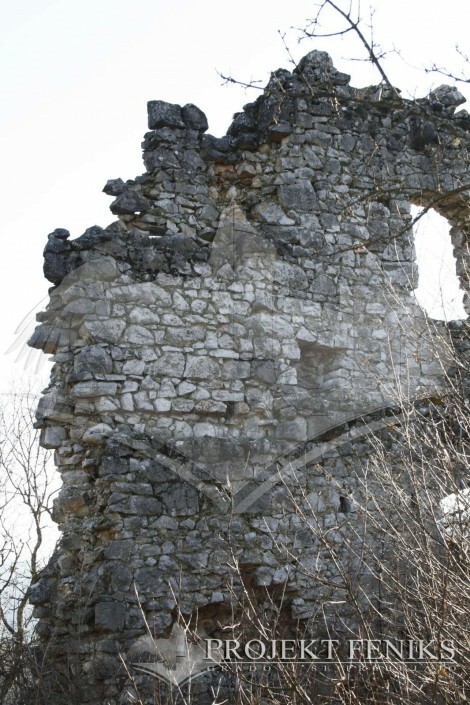 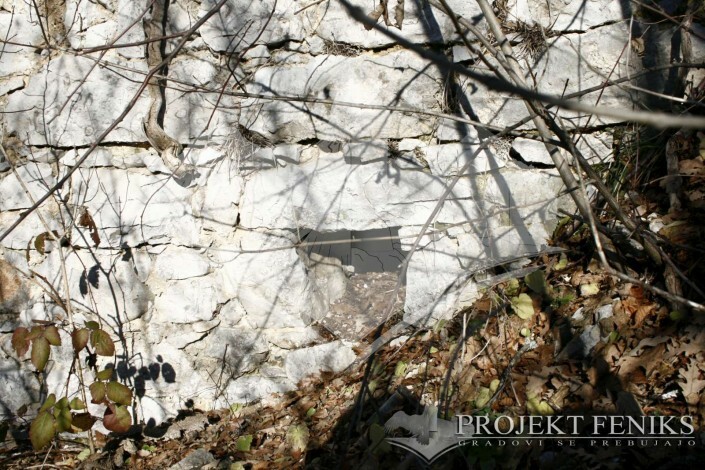 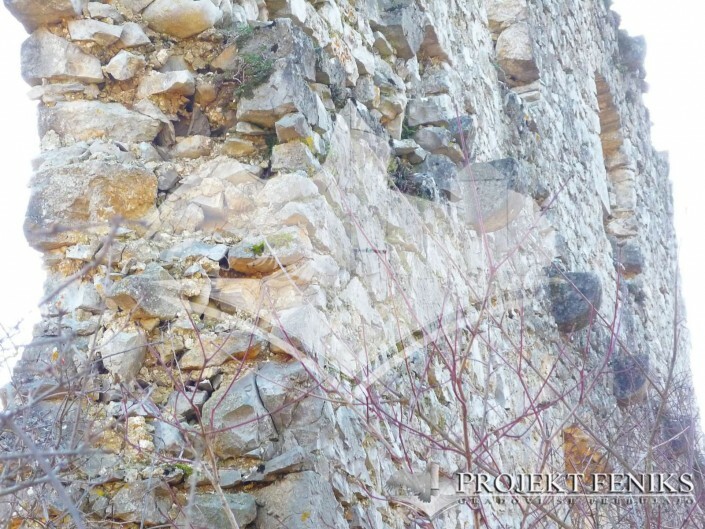 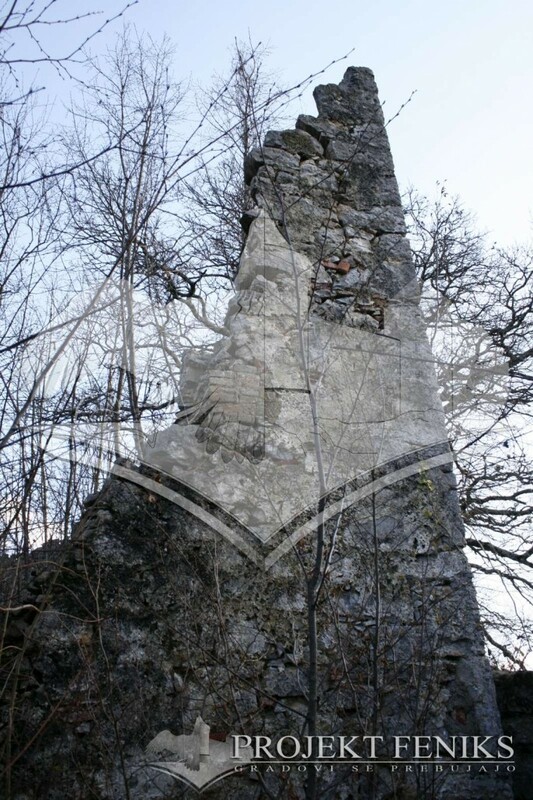 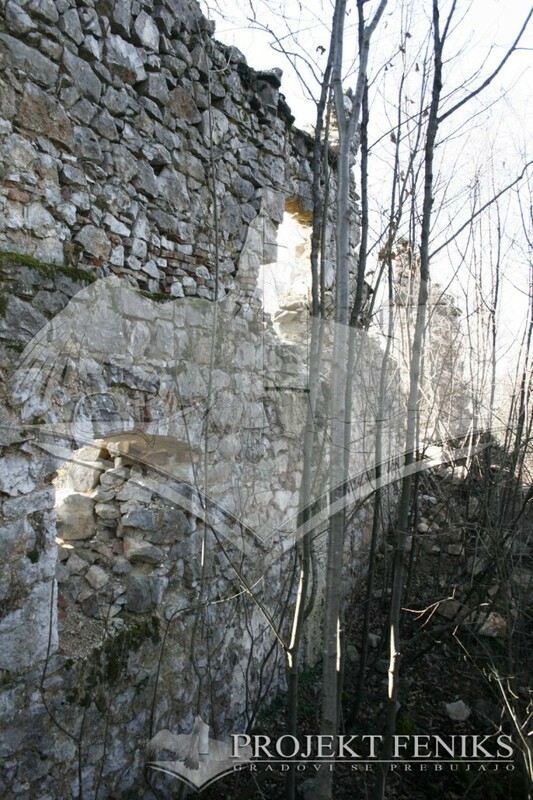 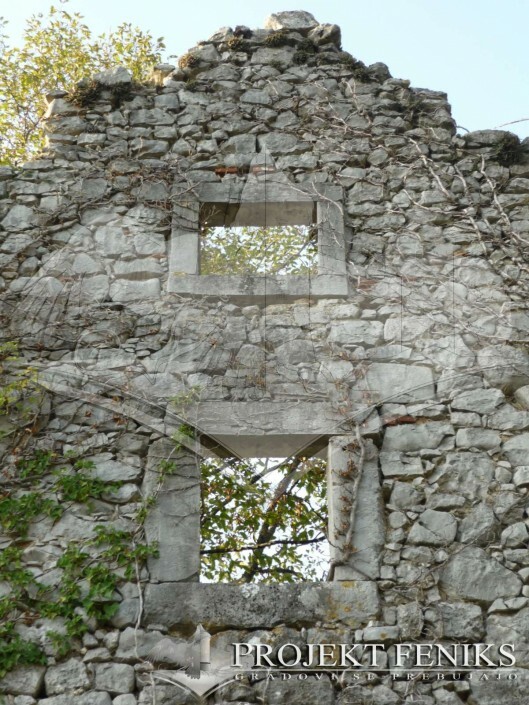 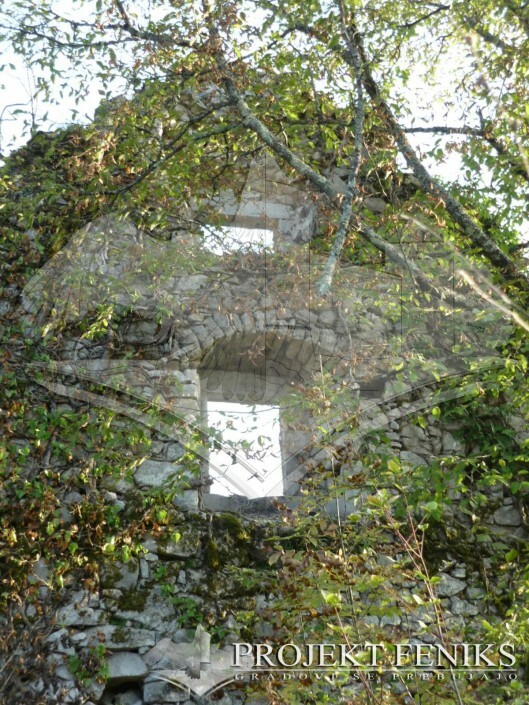 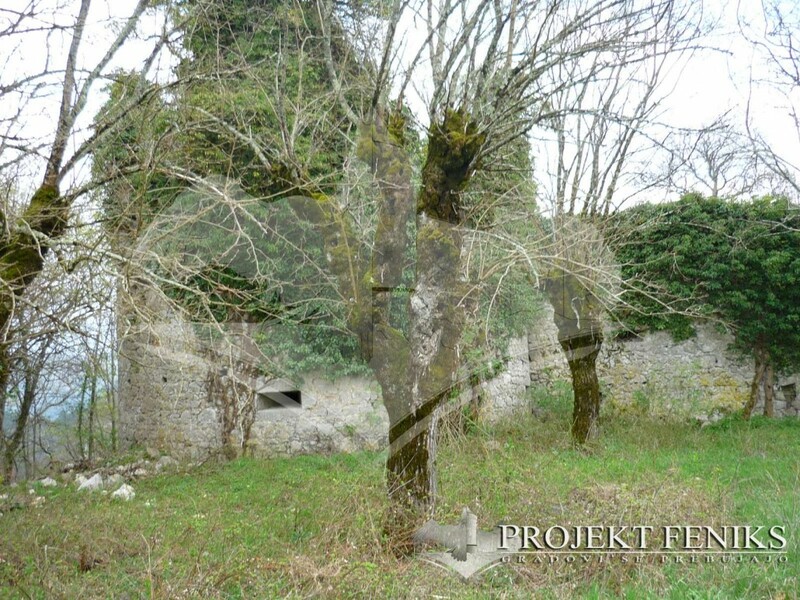 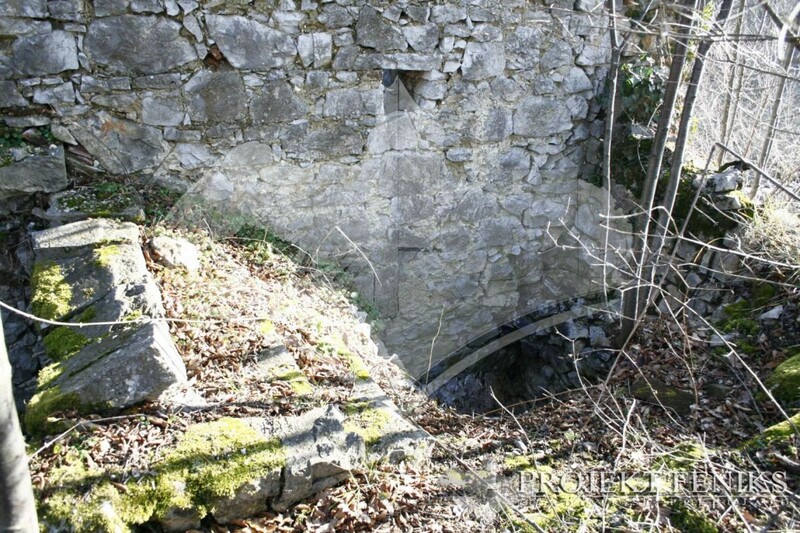 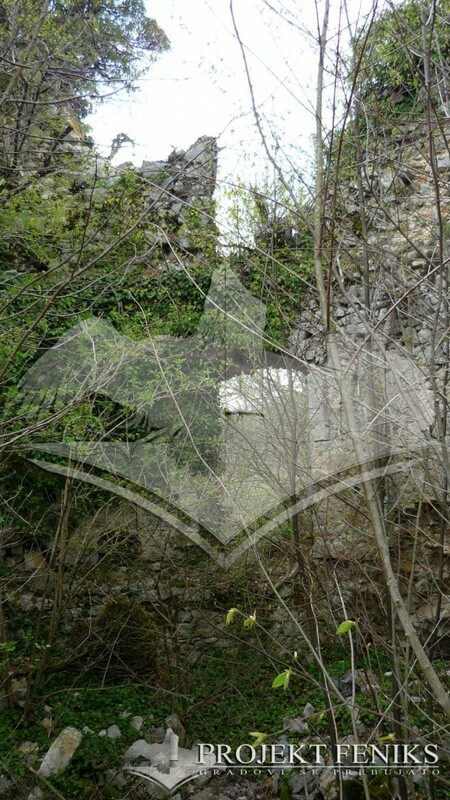 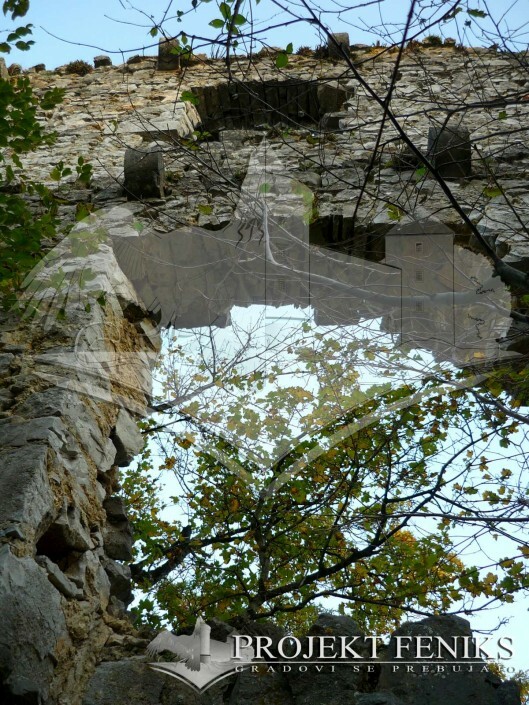 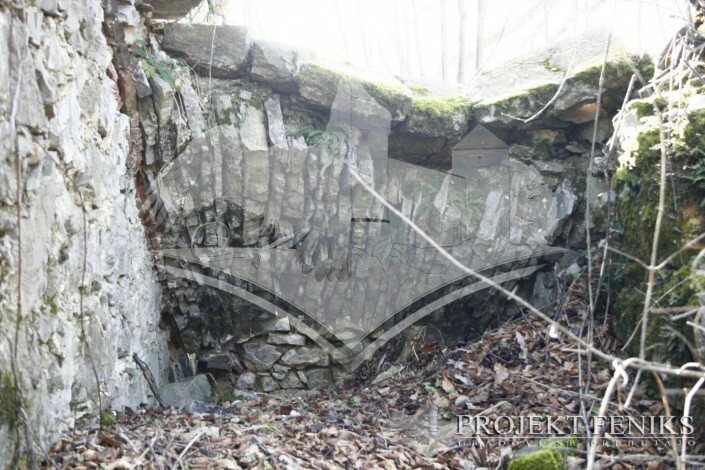 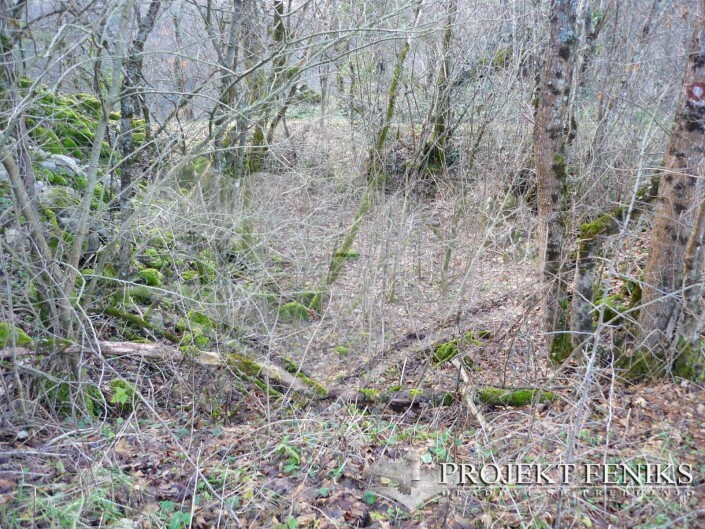 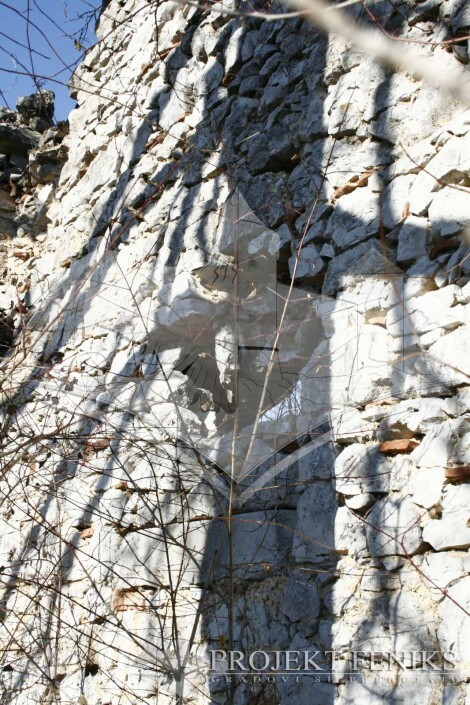 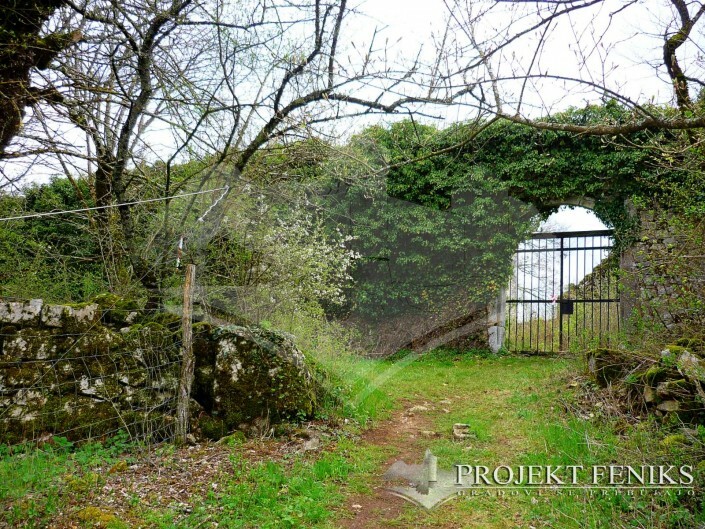 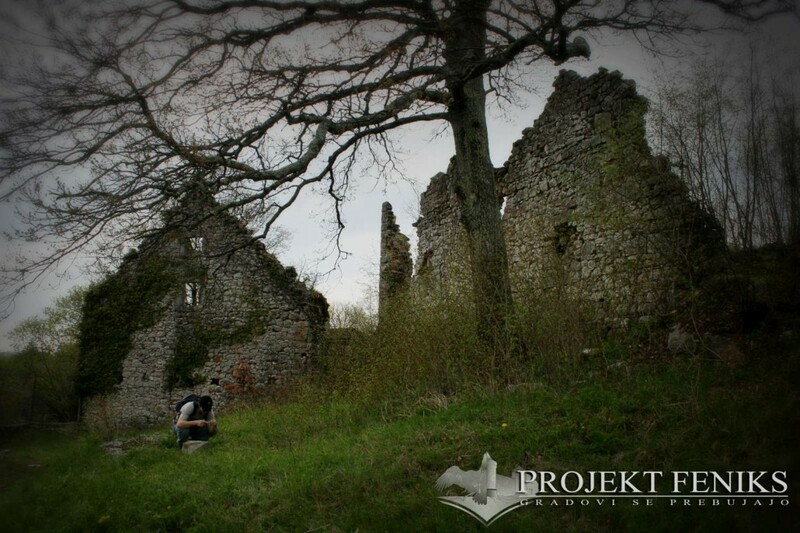 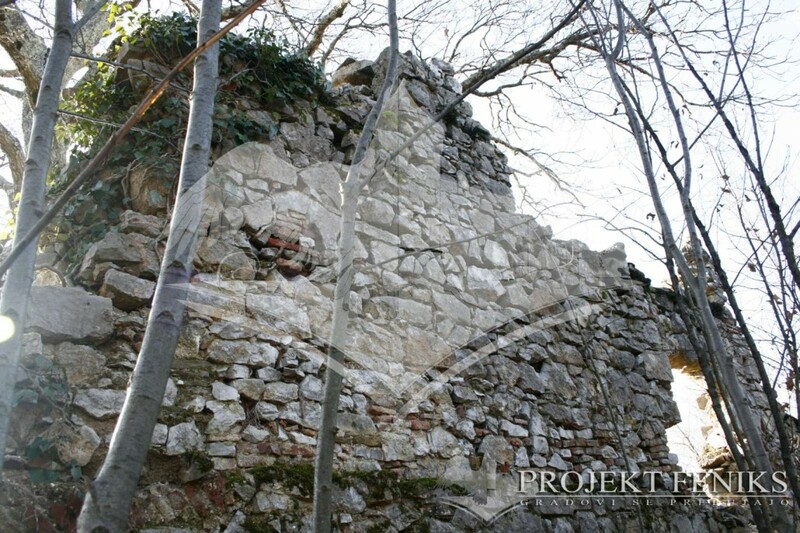 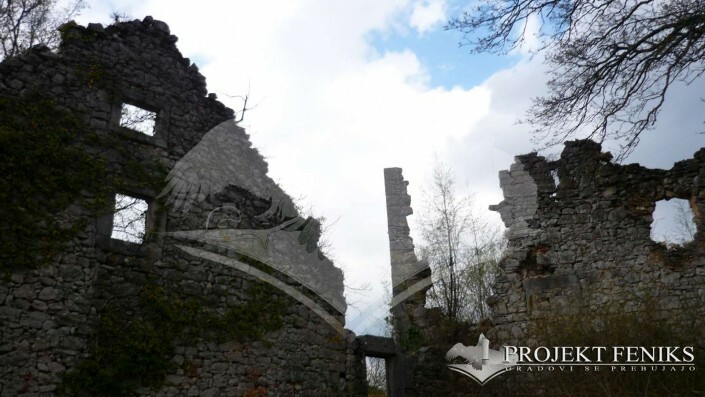 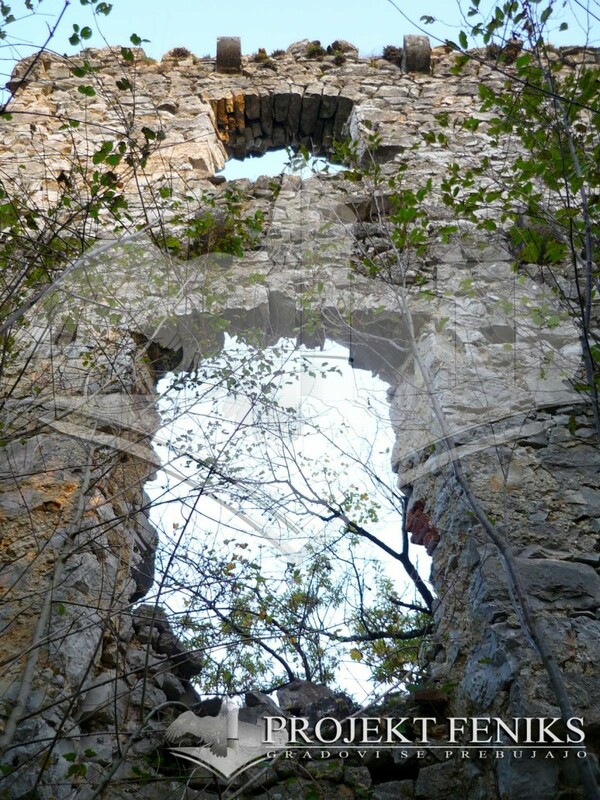 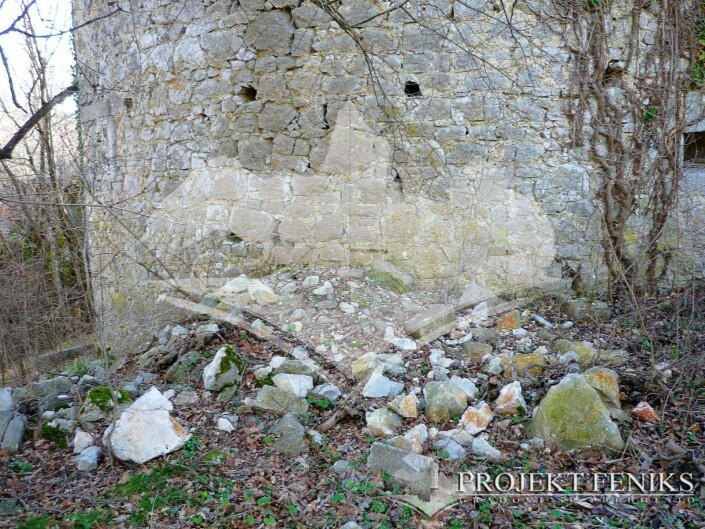 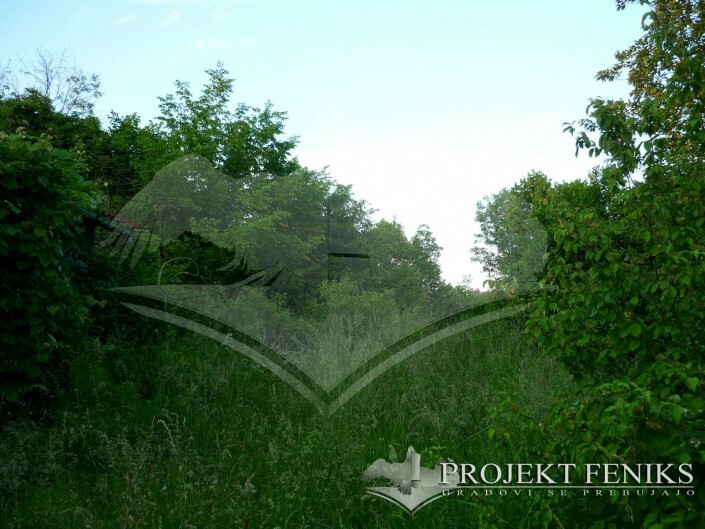 For more than a century, Školj castle has been abandoned and left to his own luck in middle of a wild context, exposed to unfavourable factors, left into nature's hands, who has been claiming its ruins while its golden days and old memories are slowly forgotten by almost every Slovenian. 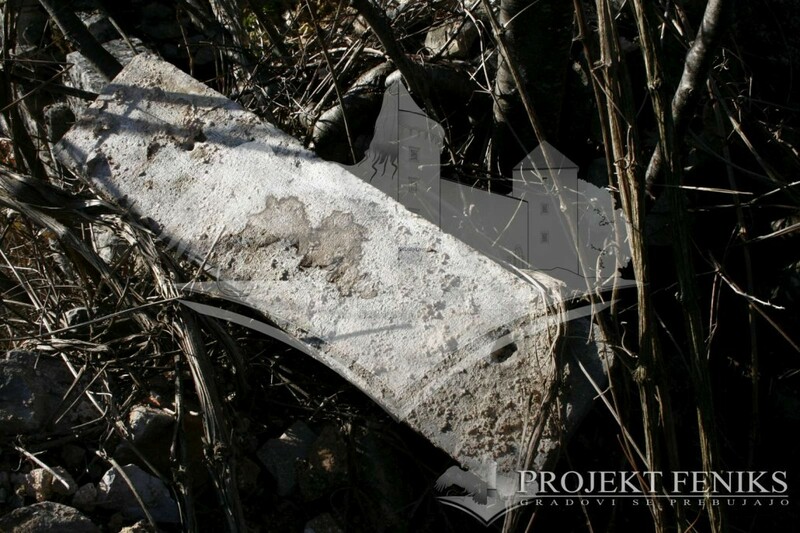 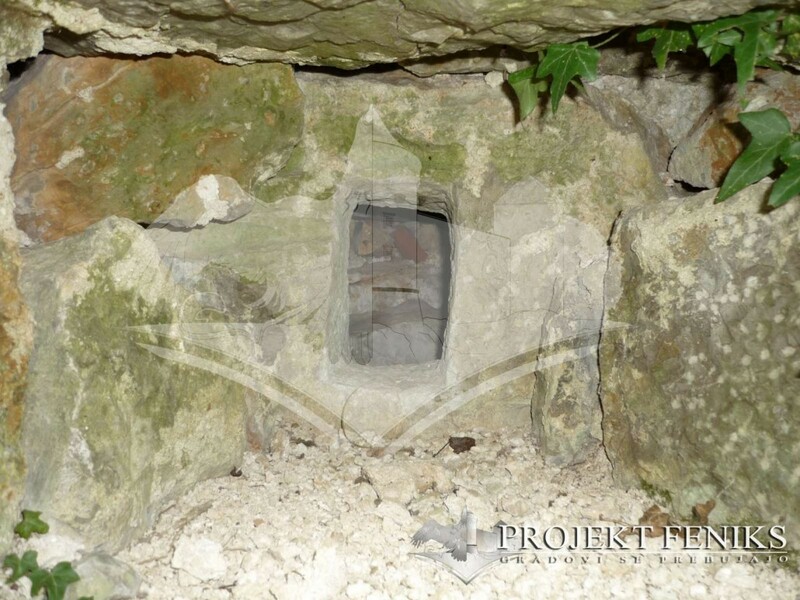 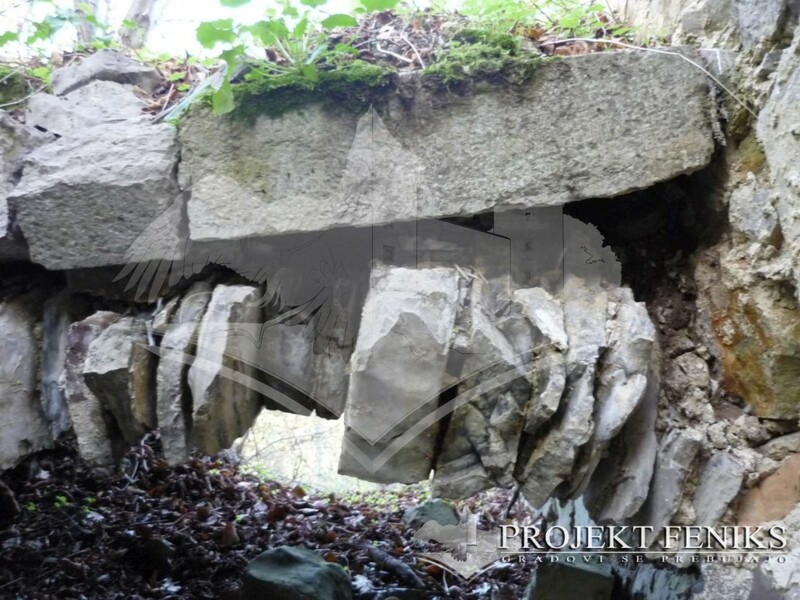 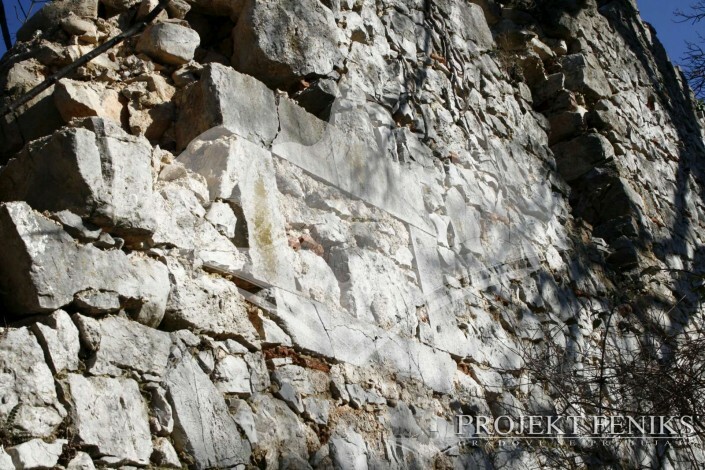 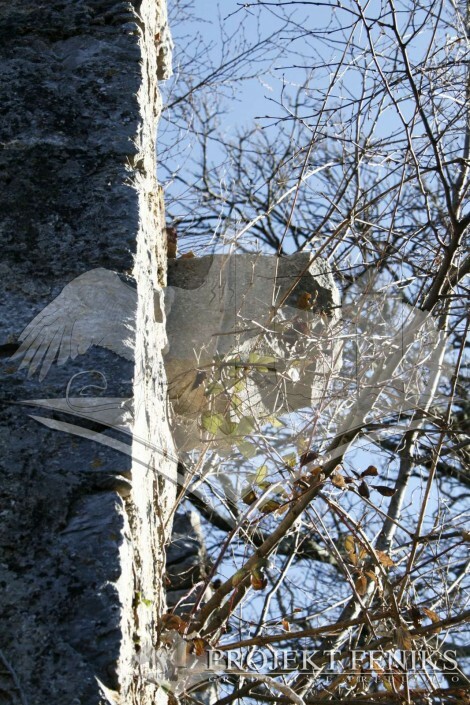 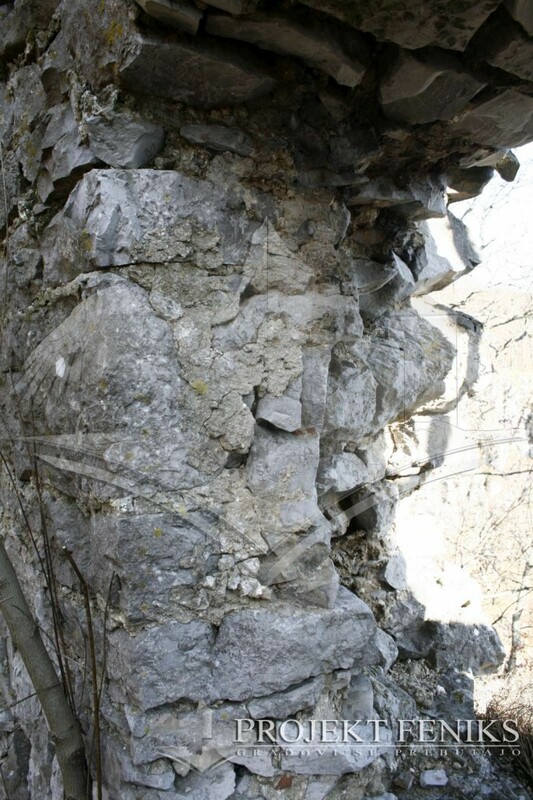 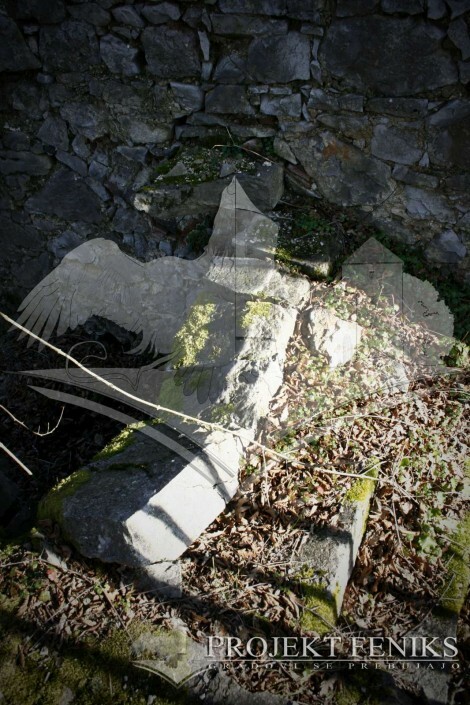 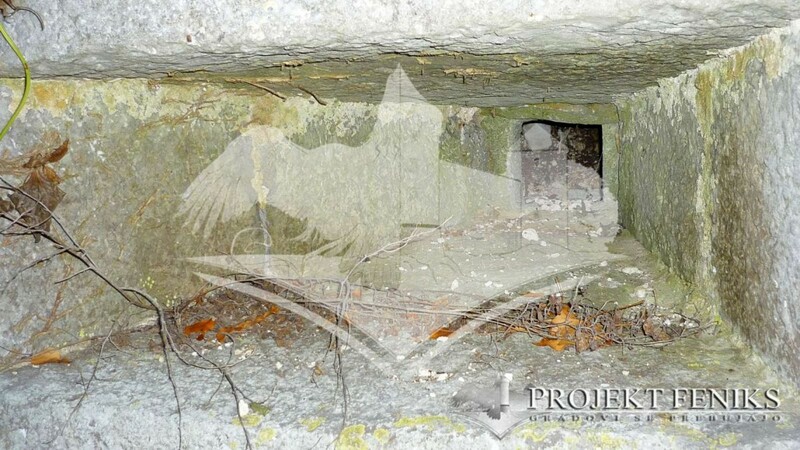 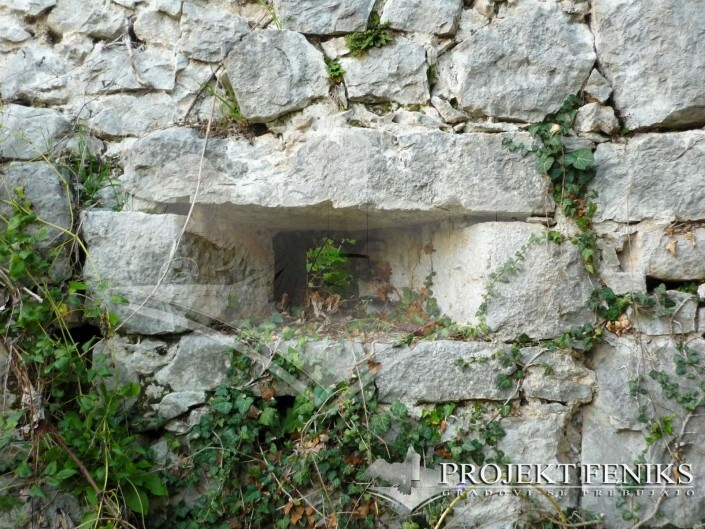 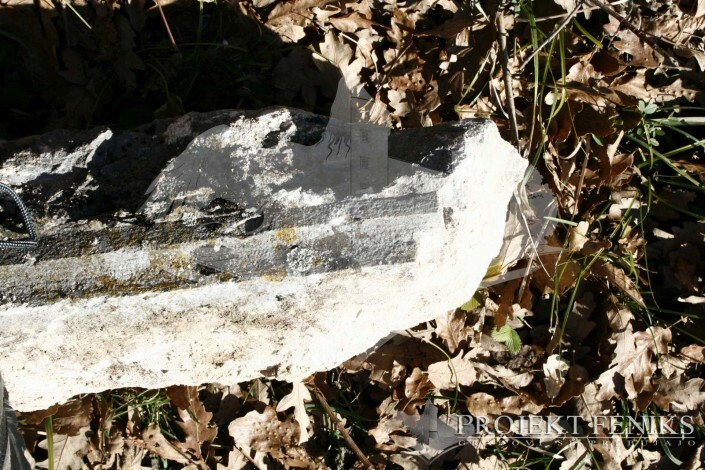 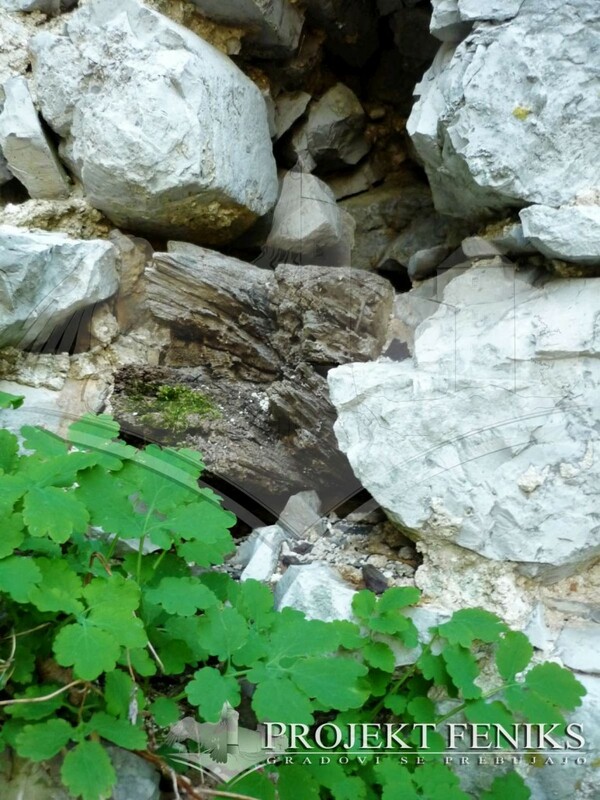 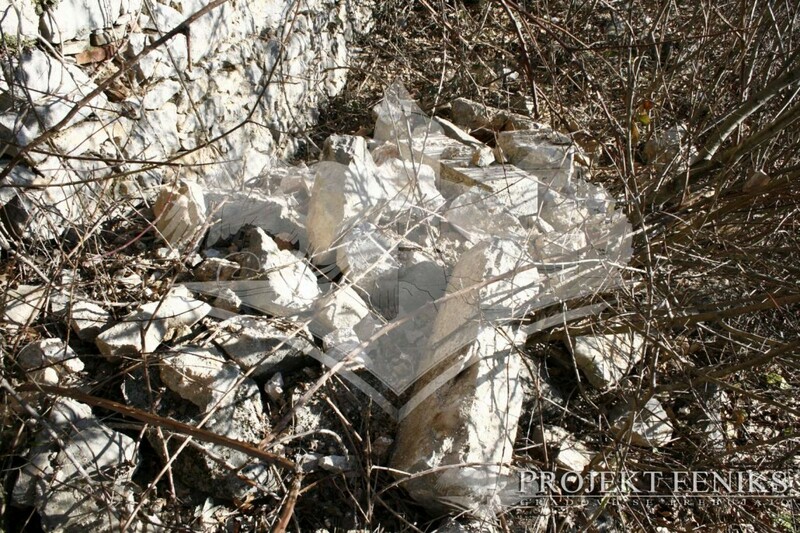 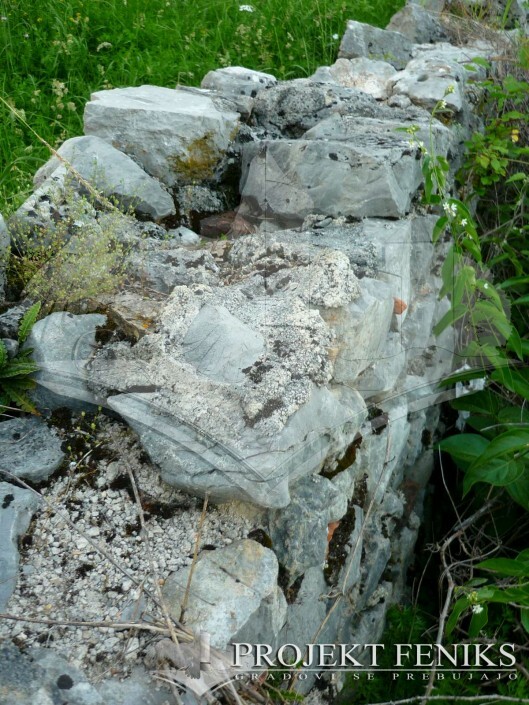 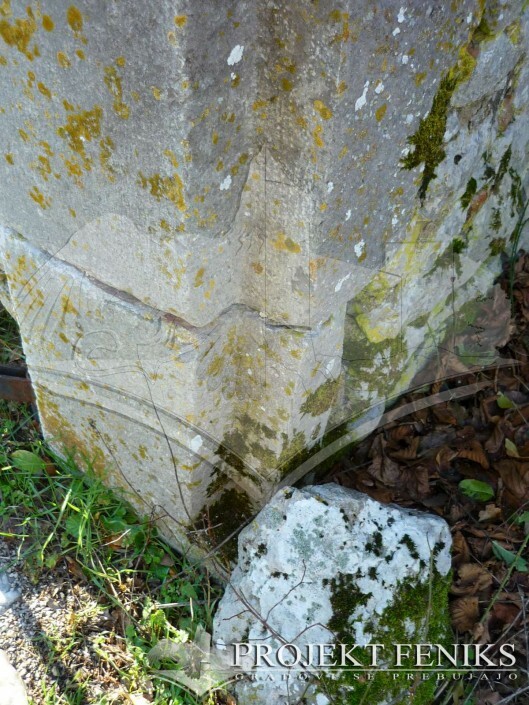 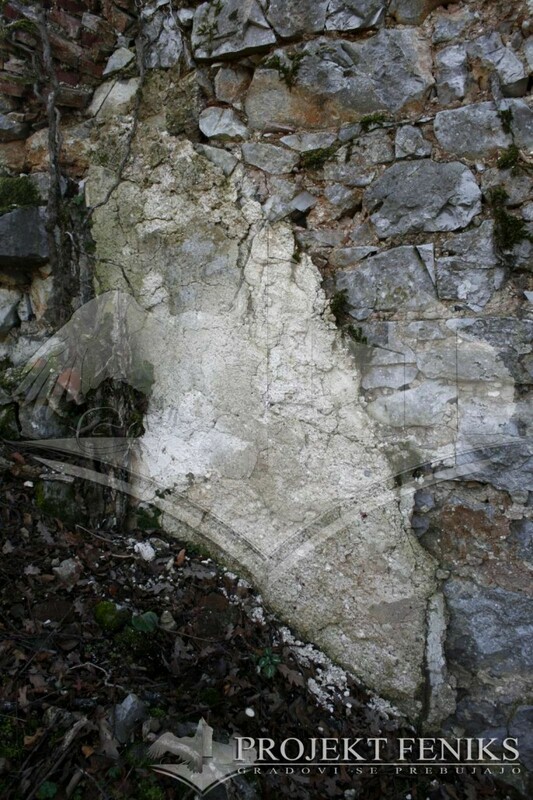 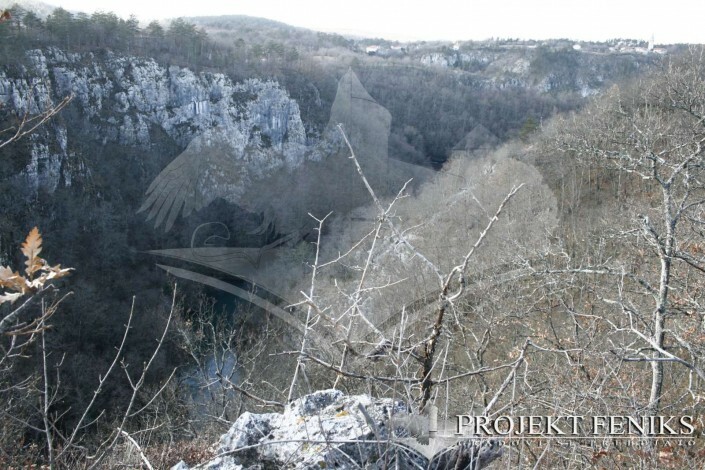 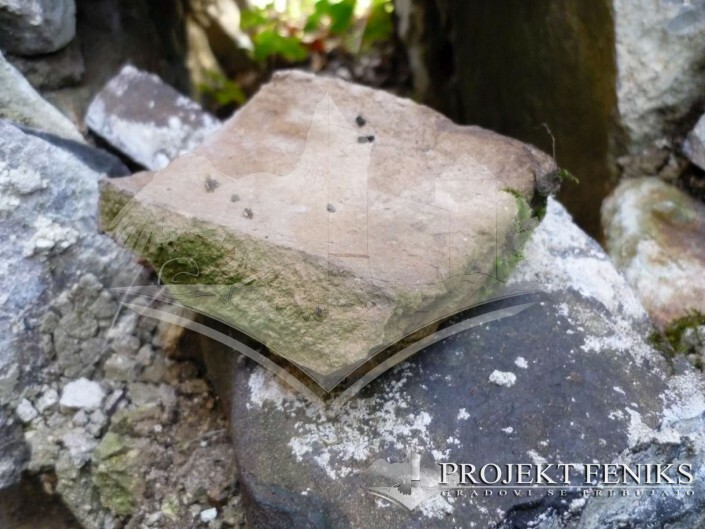 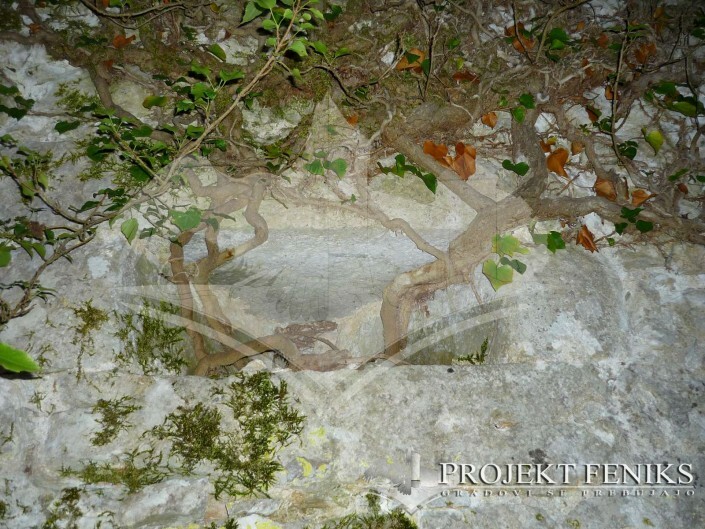 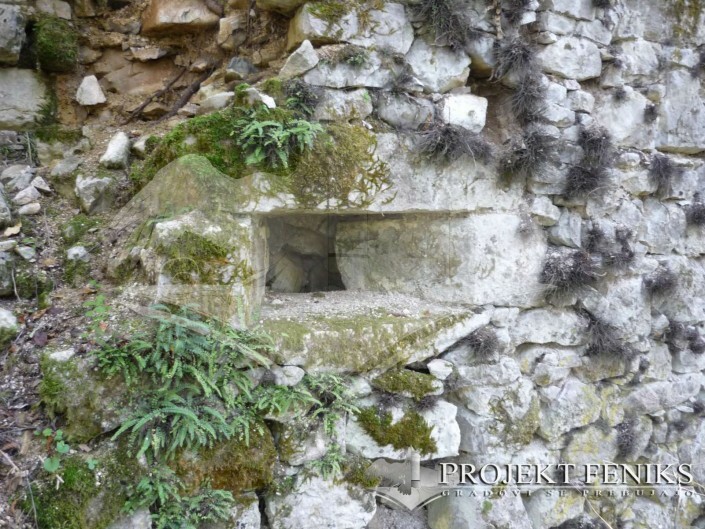 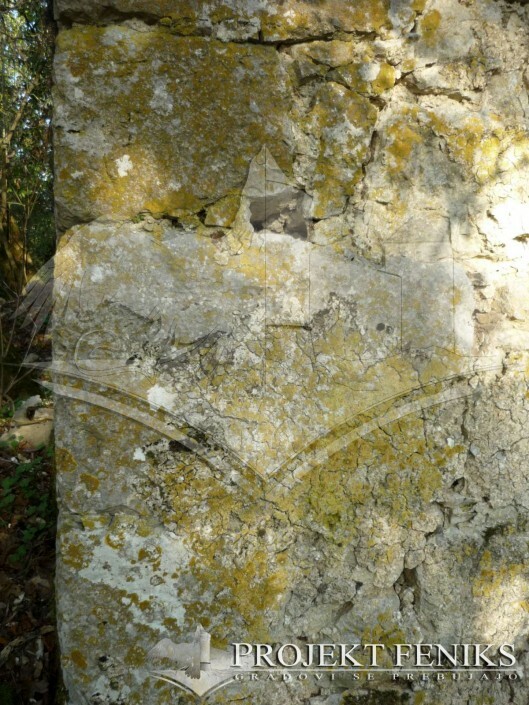 Luckily its essence still remains alive within Školj’s stones and it beats in the memory of a few local elder people. 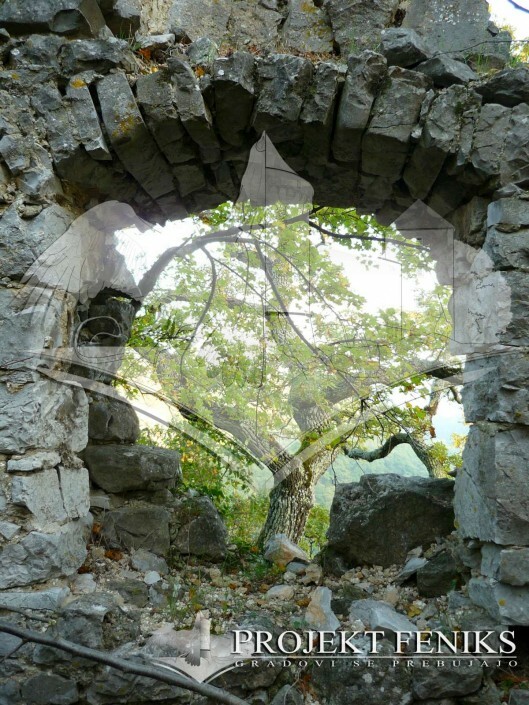 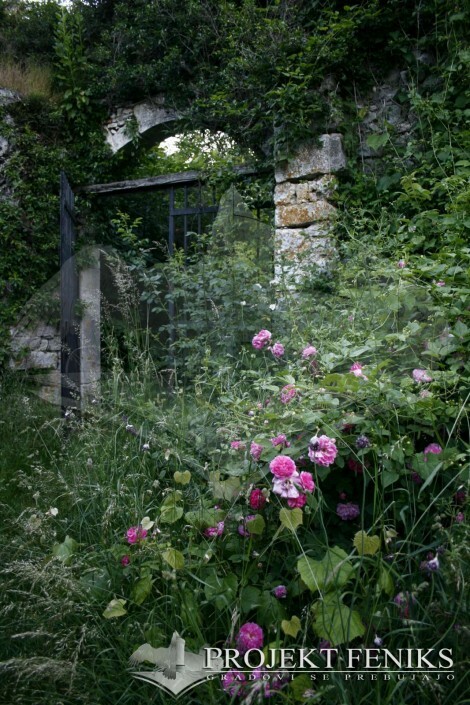 The ruins suffer an advanced state of degradation which it's empowered by its exposed situation. 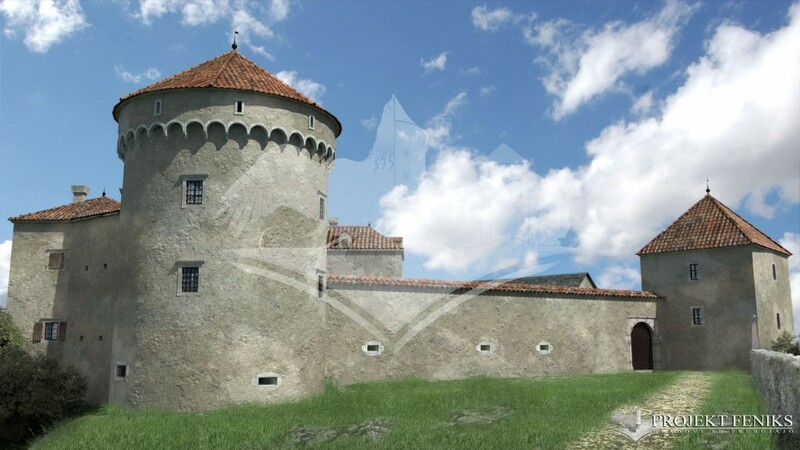 Barely 45% of the original castle is conserved, but because of the magnificent strategical point and its perfect socio-cultural location it could be still recoverable. 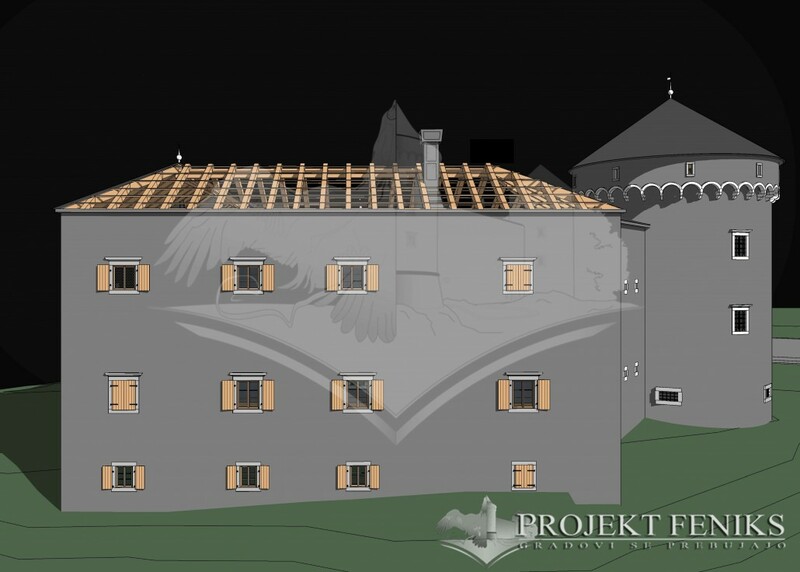 After a long research process, we could determine almost exactly each Školj's constructive phases. 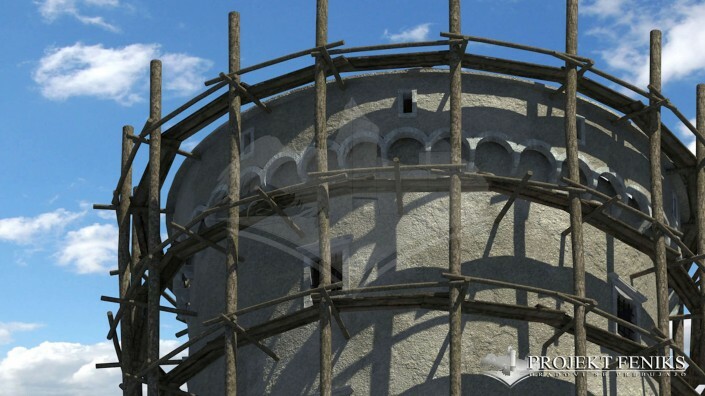 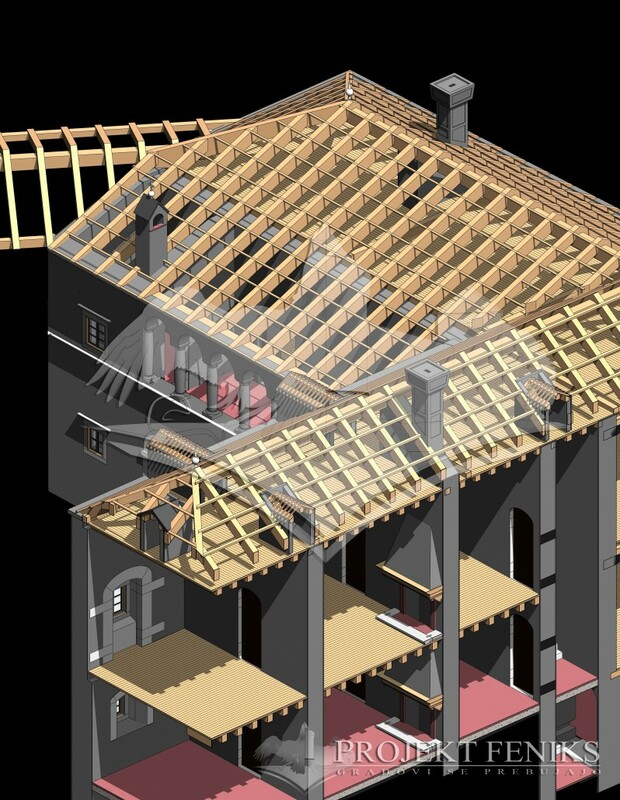 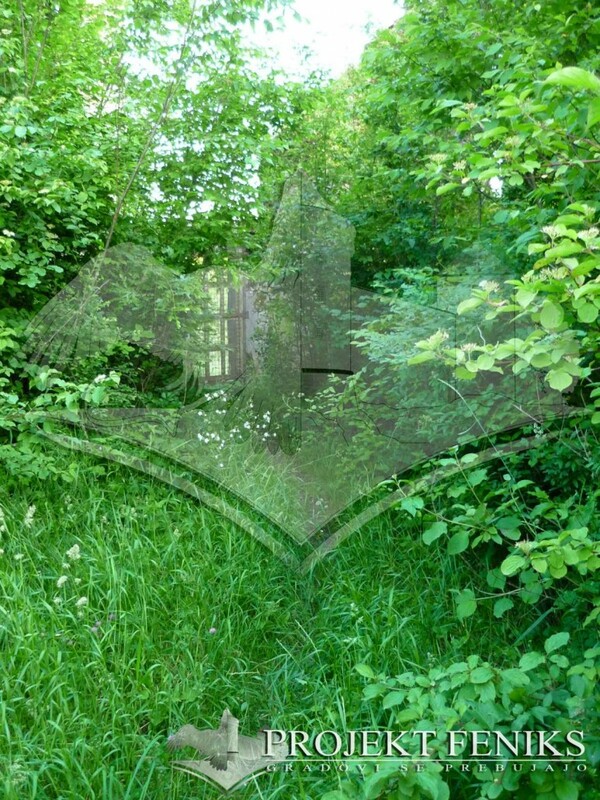 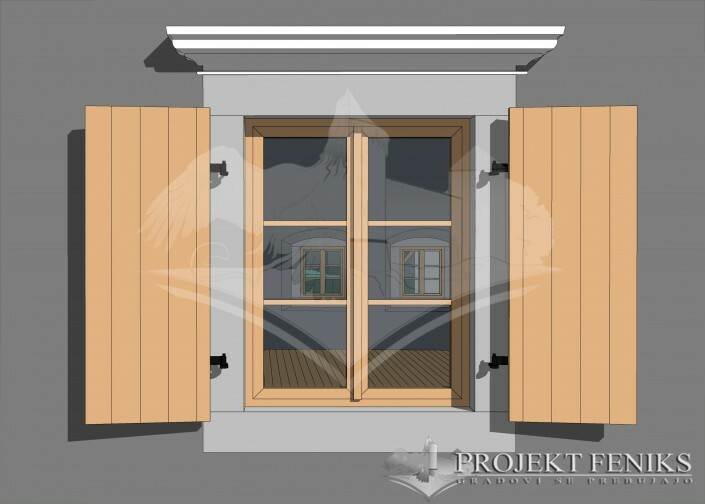 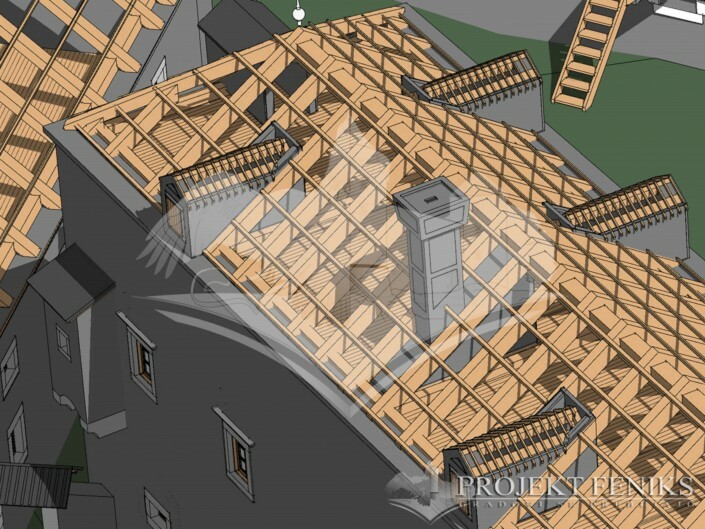 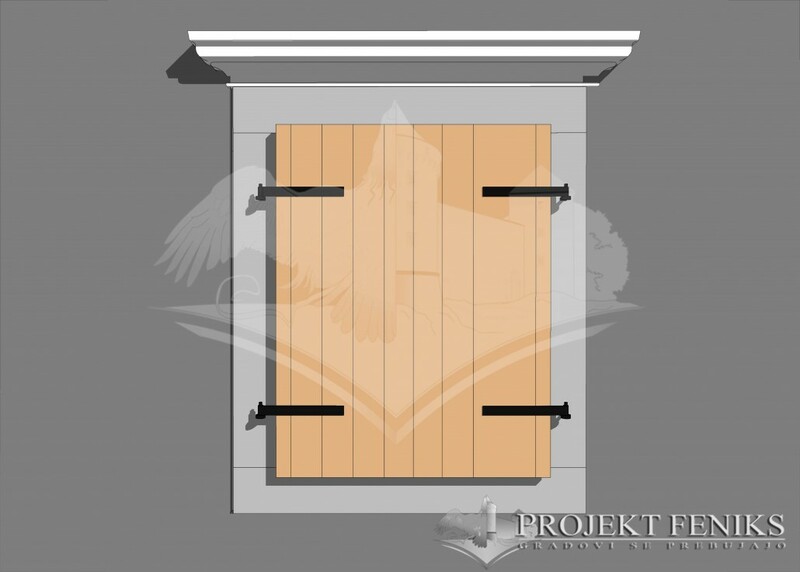 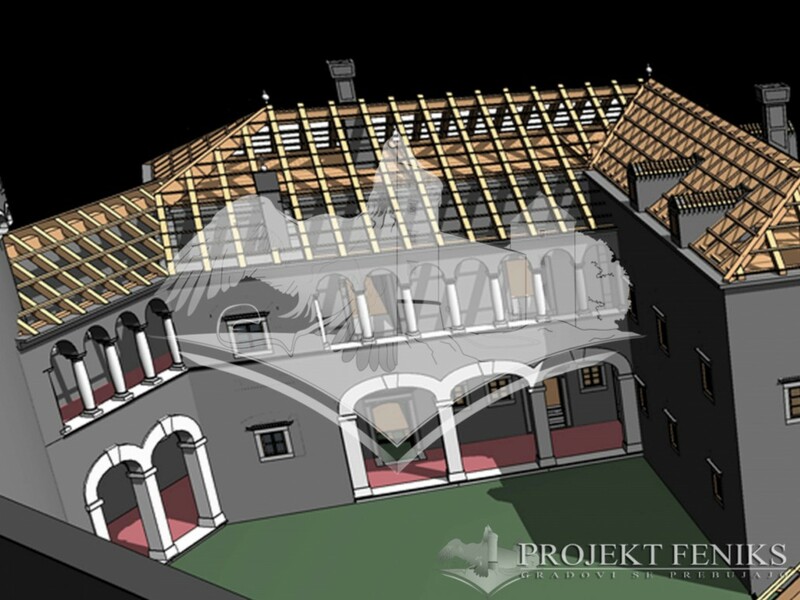 The collected information, blueprints, old pictures helped us to create a previous 3d model. This model has been modified several times while at the same moment new theories or constructive hypothesis were developed. 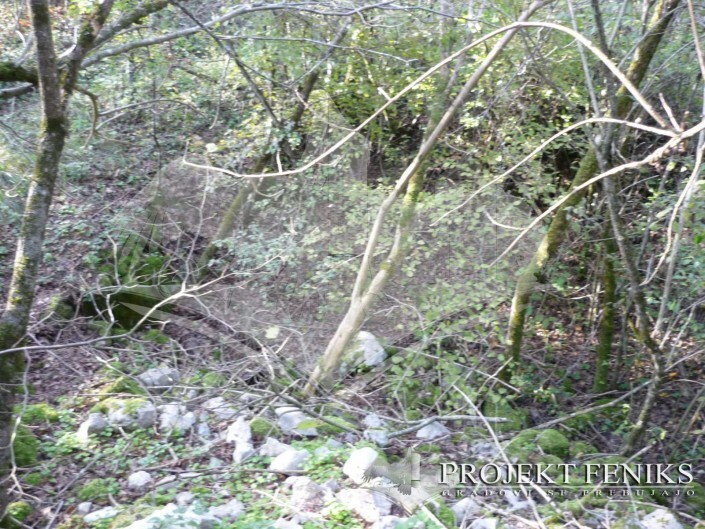 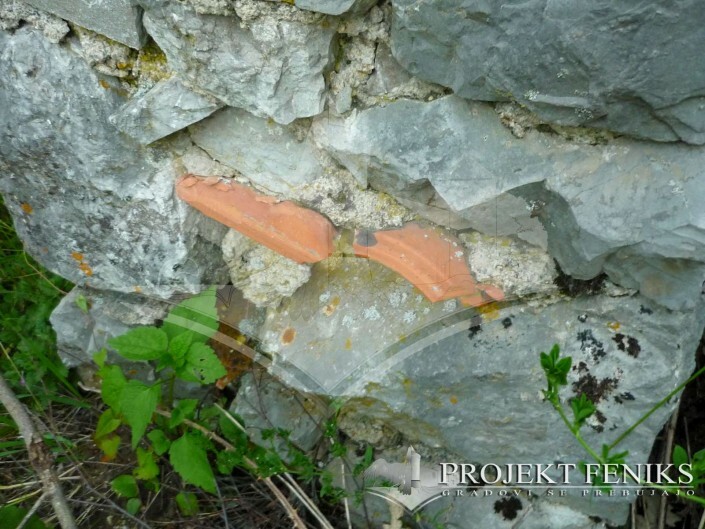 Along the reconstructive path, new data was received from different sources such as Park Škocjanske Jame, Fototeca Civici Musei di Storia ed Arte di Trieste, Catasto fotografico della Commissione Grotte Eugenio Boegan and of course interested neighbors from Škocjan, Matavun, Famlje and Dolnje Vreme villages. 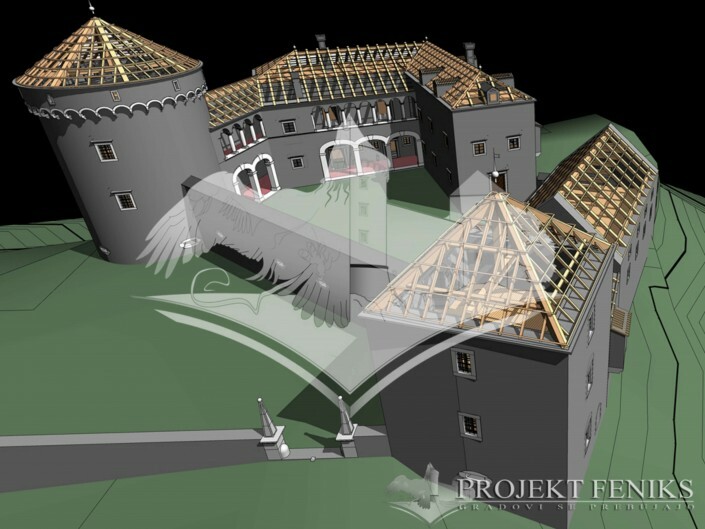 At the end, we have worked hard on different textures for the 3d model, trying to reach the proper and exact colours for the different materials used to build the castle. 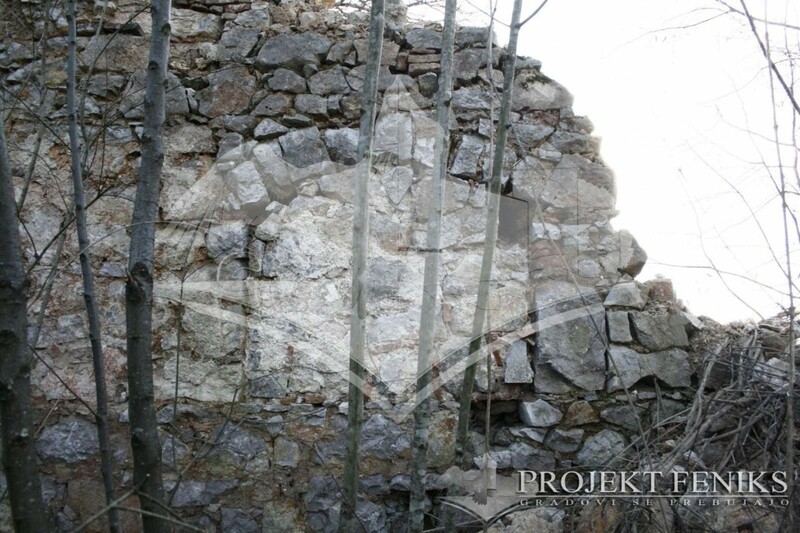 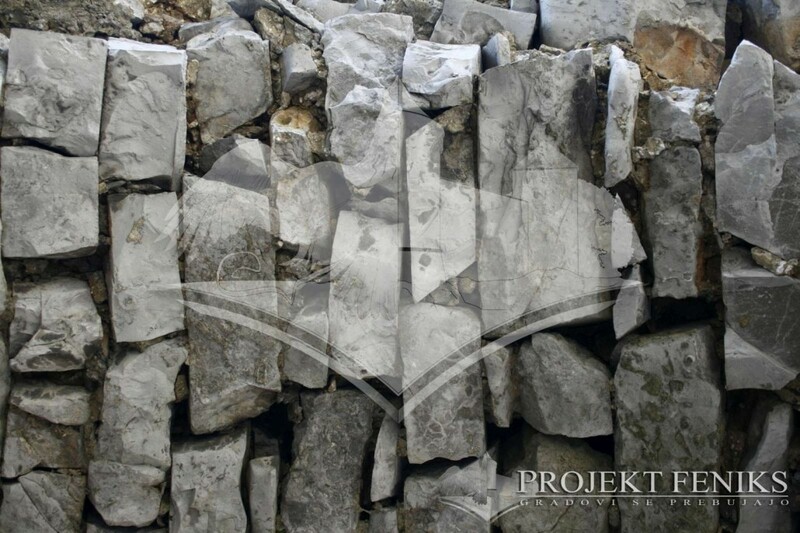 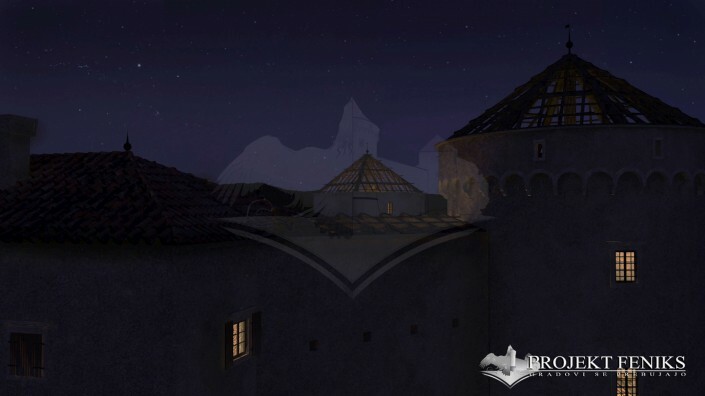 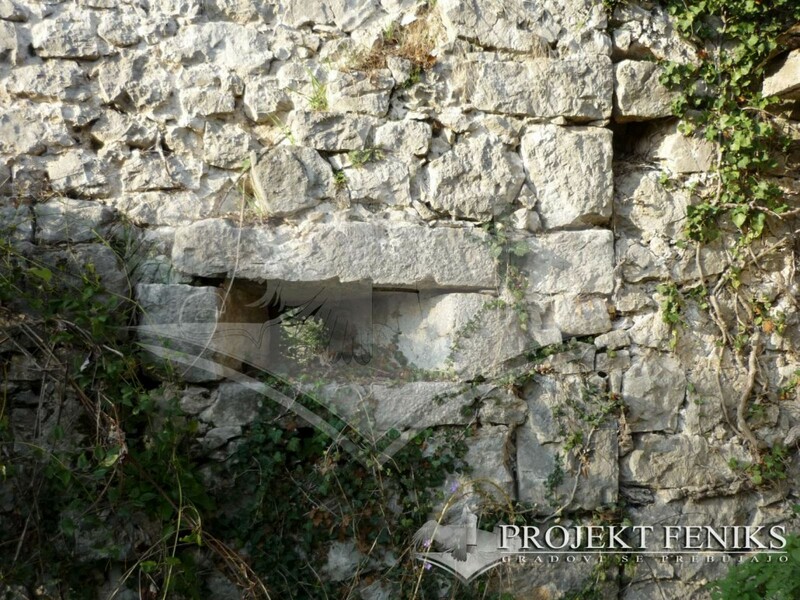 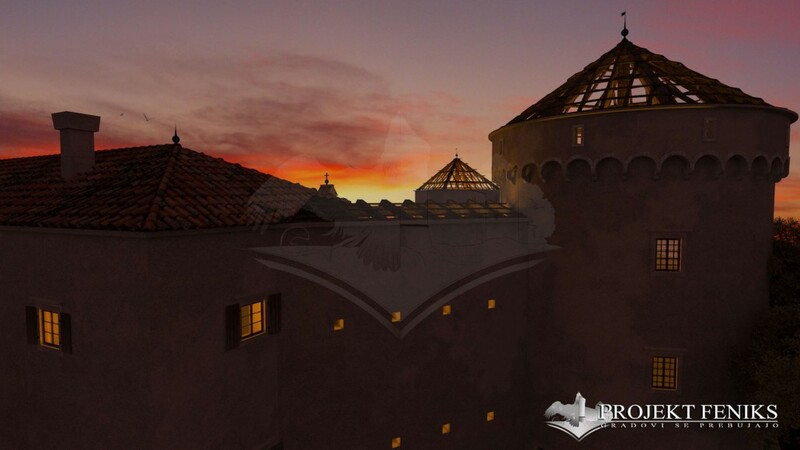 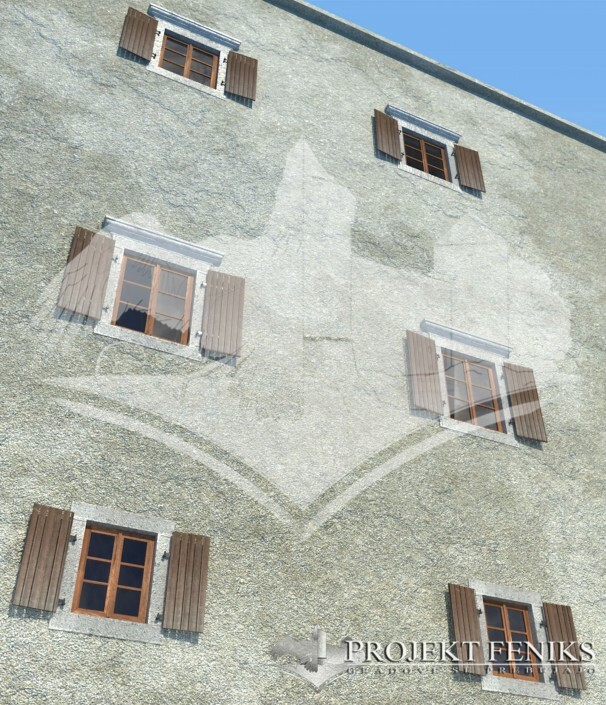 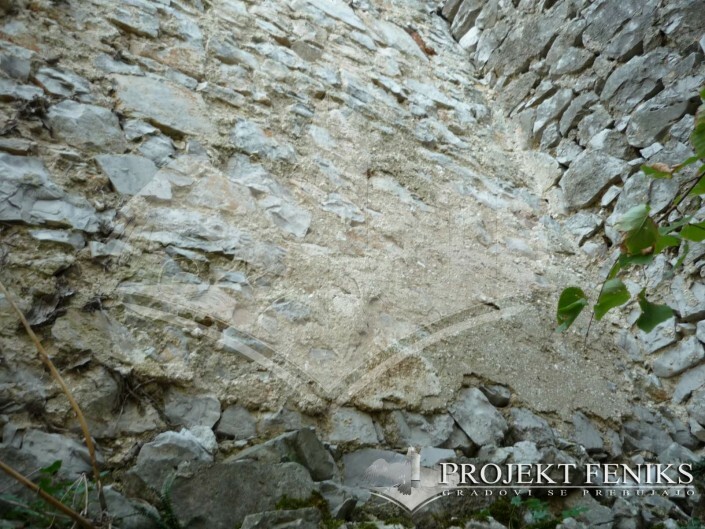 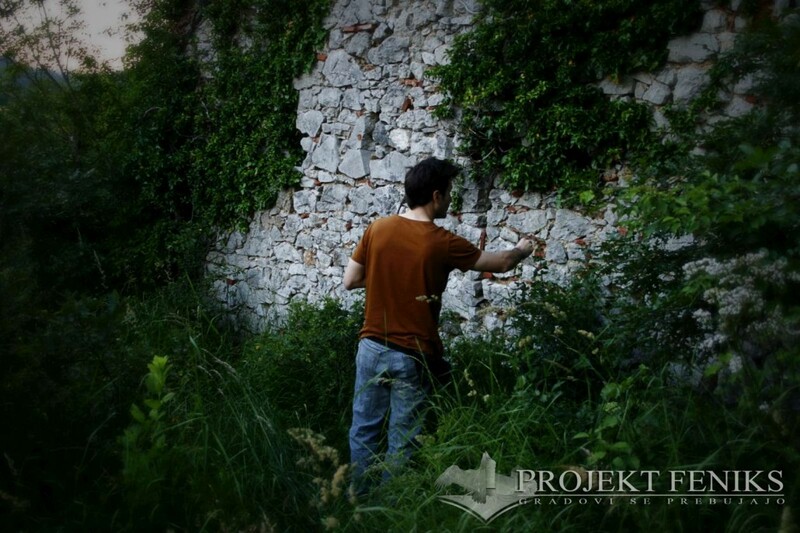 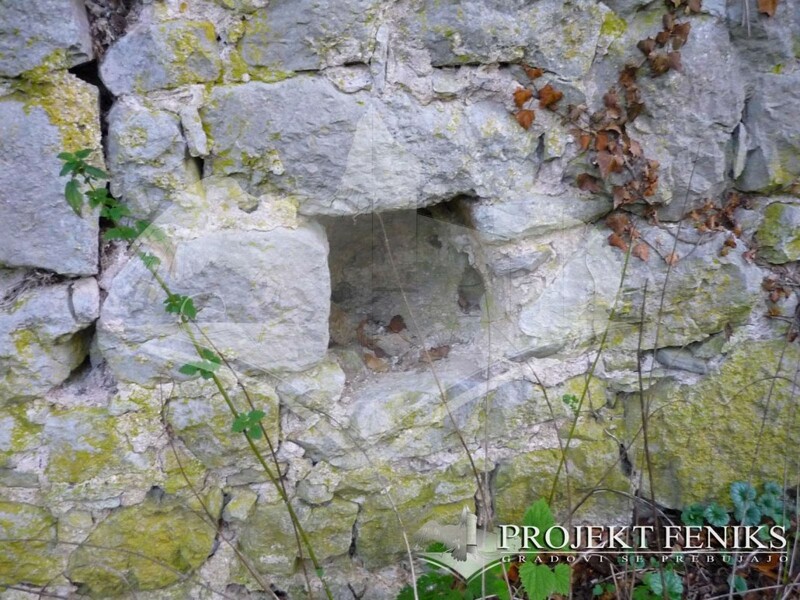 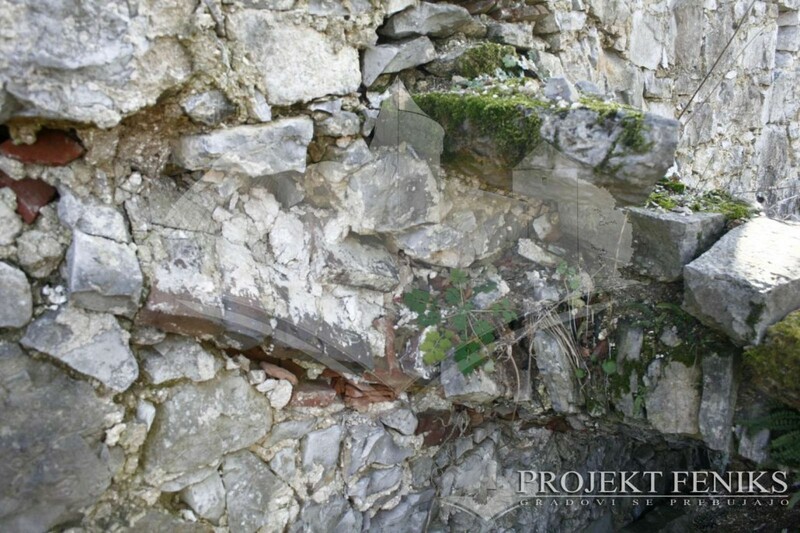 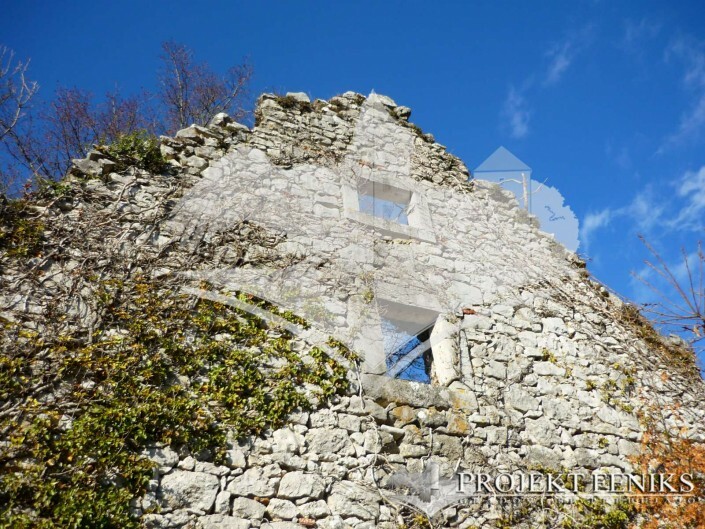 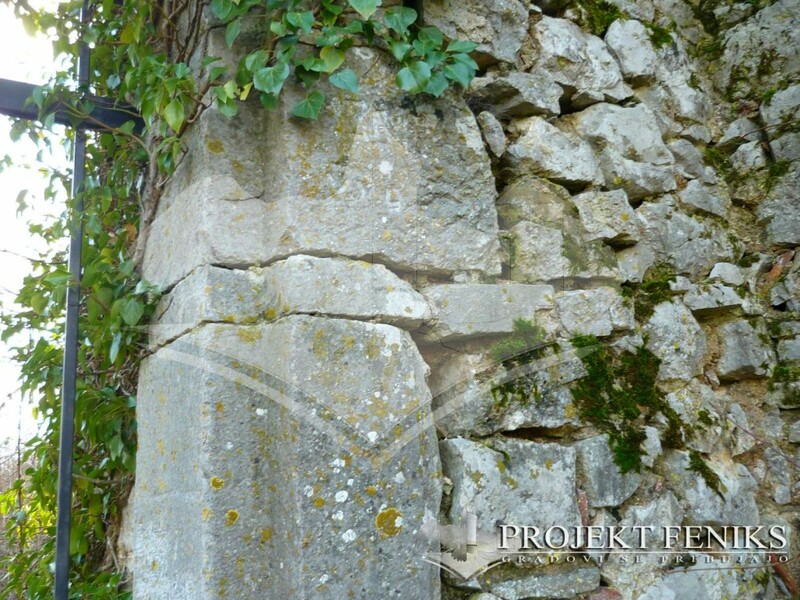 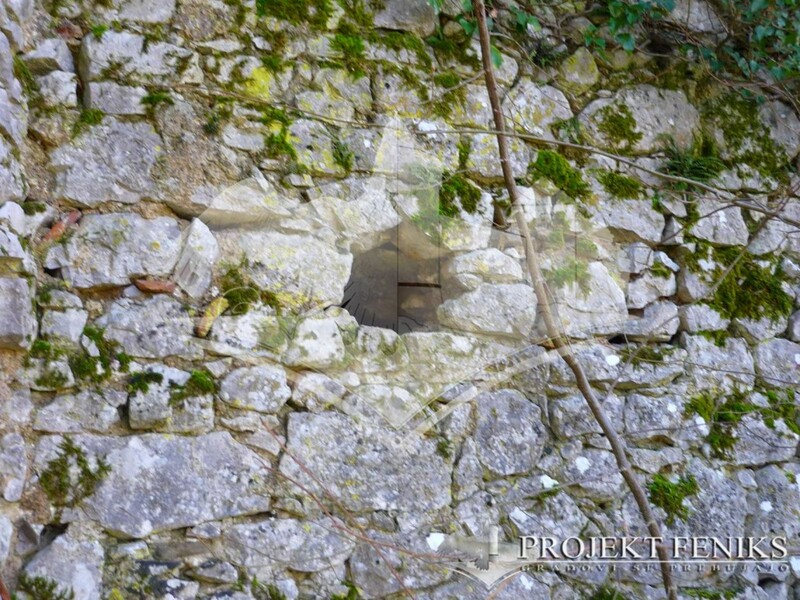 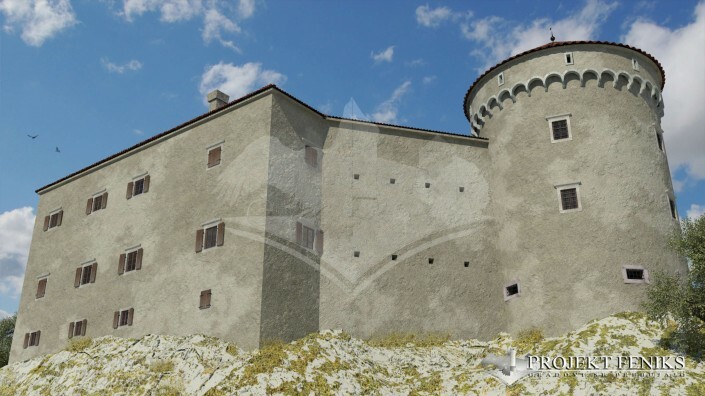 After applying these materials, lightning and a composition of the surroundings, we managed to achieve the most accurate image of Školj castle. 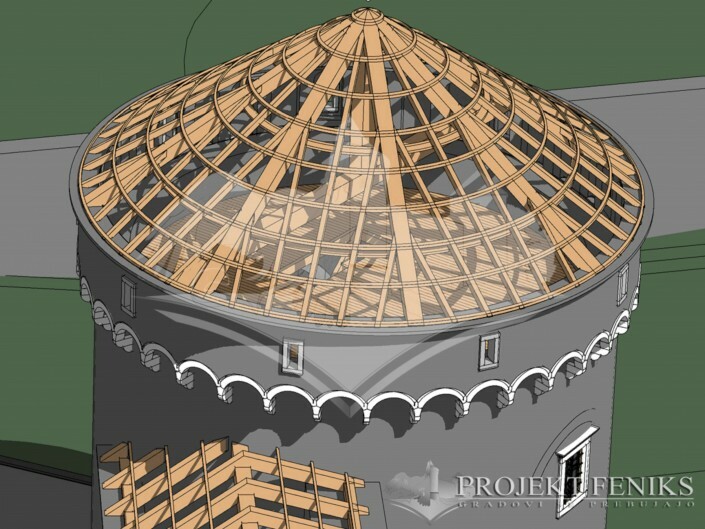 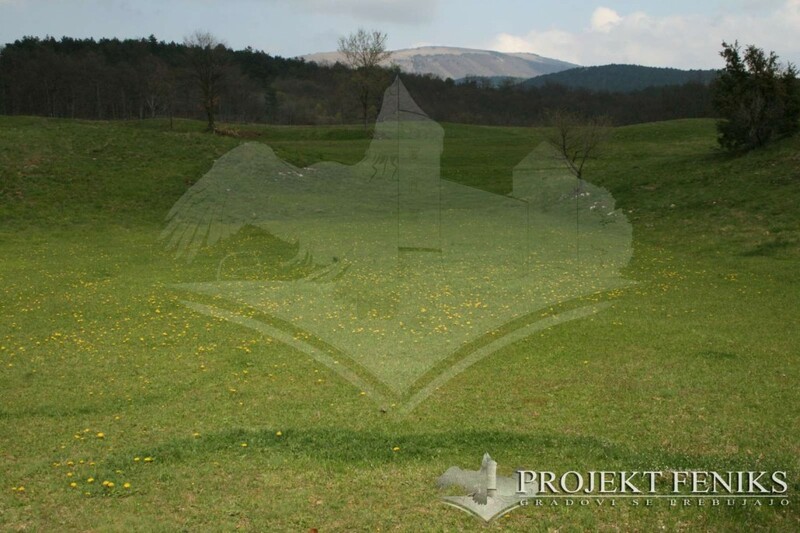 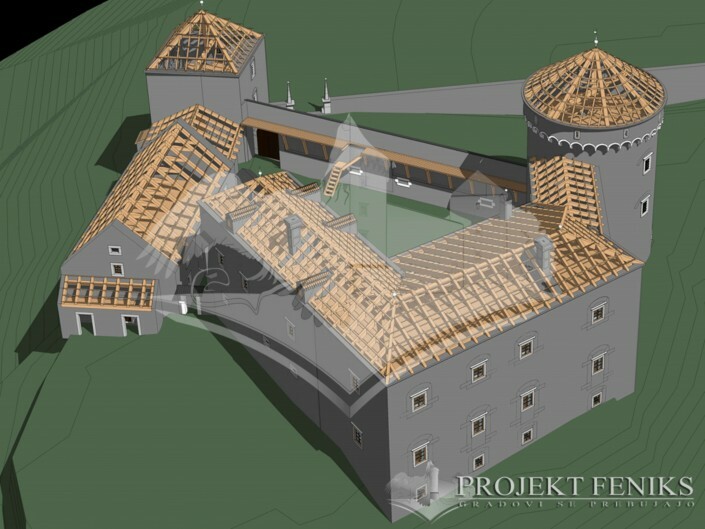 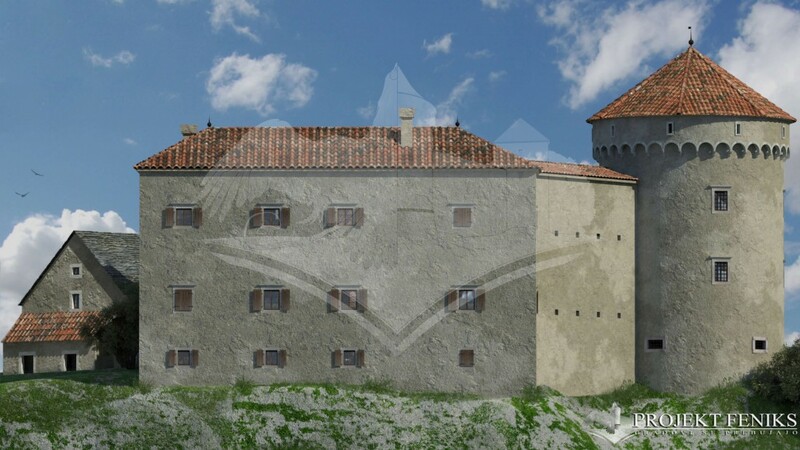 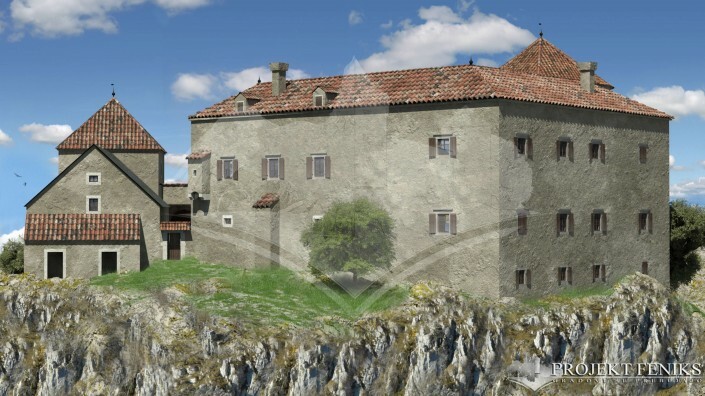 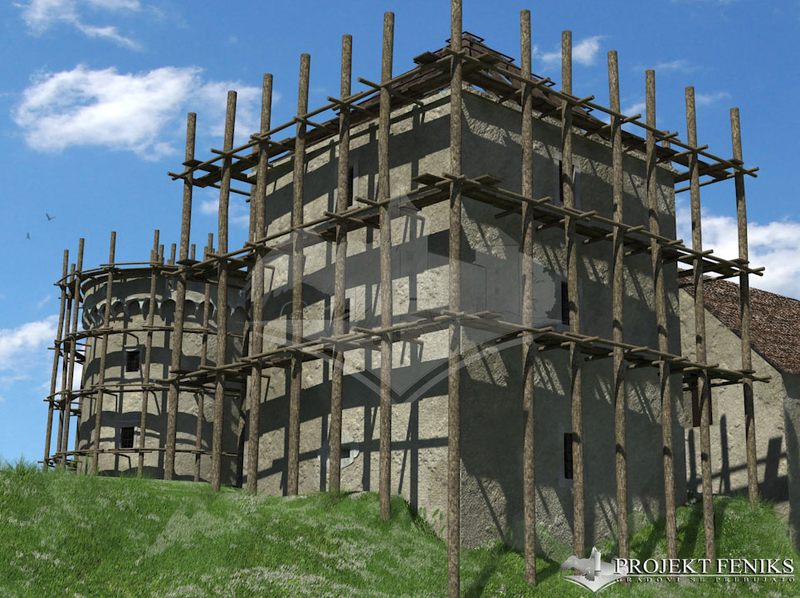 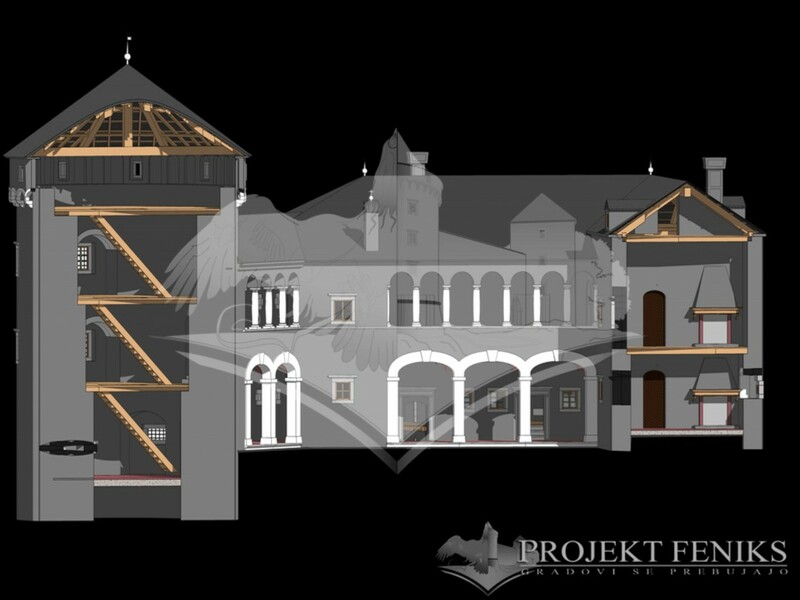 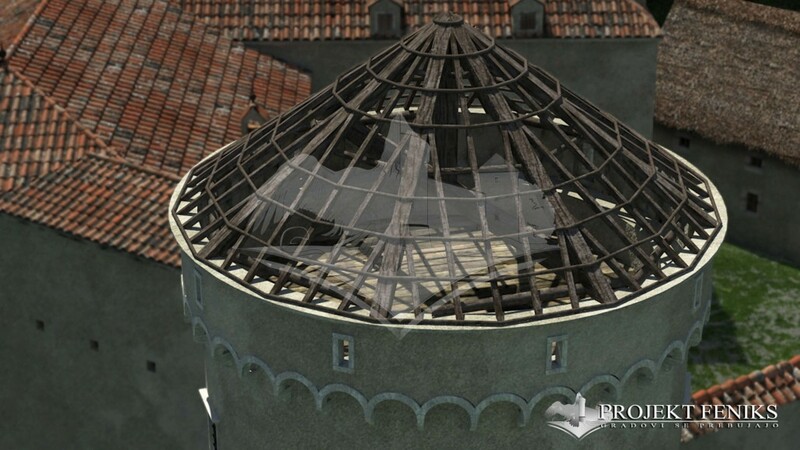 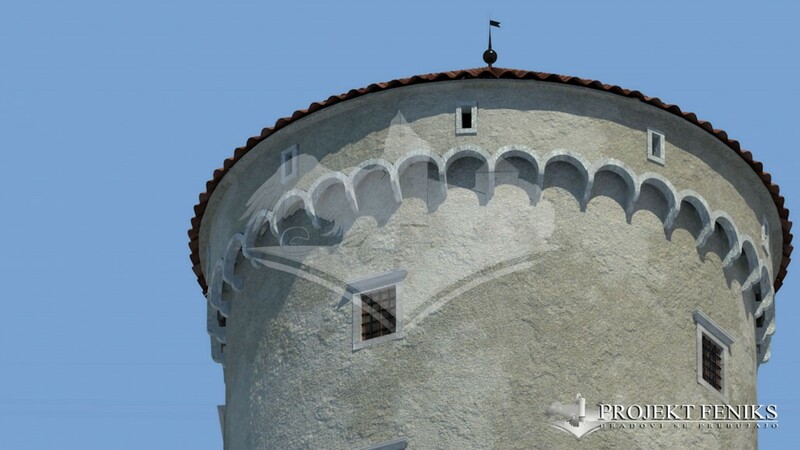 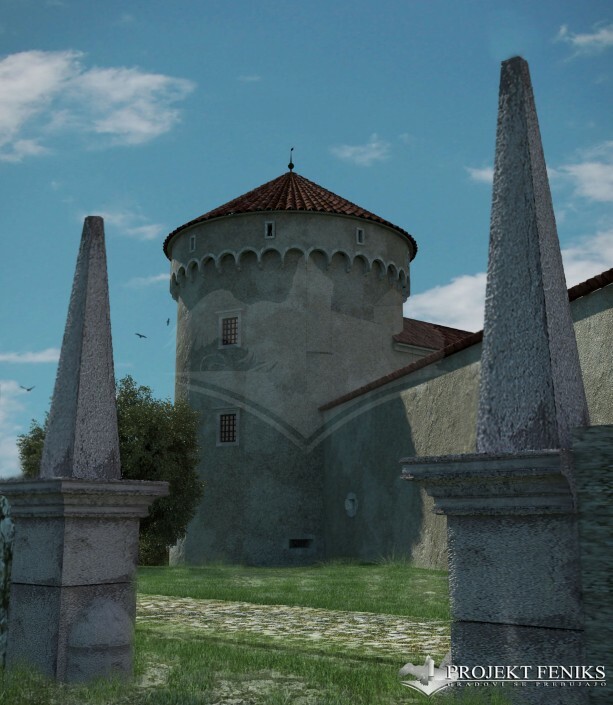 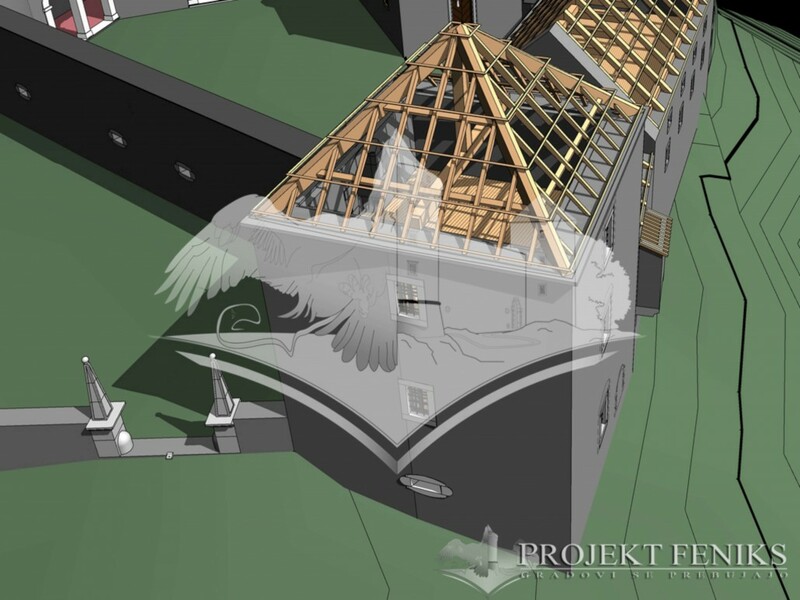 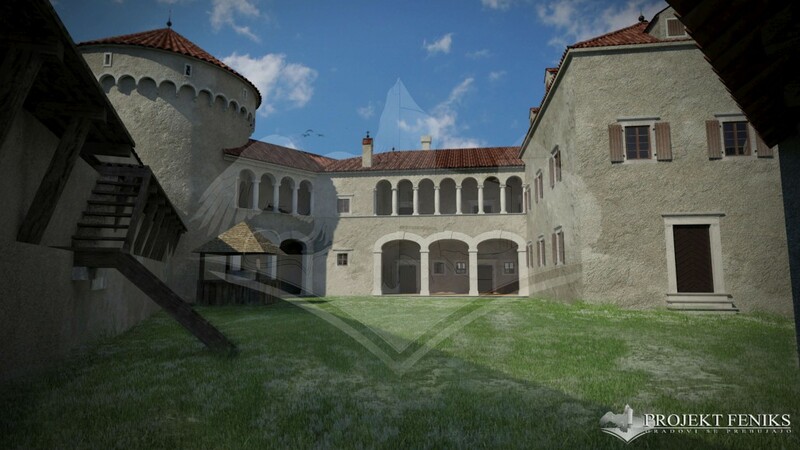 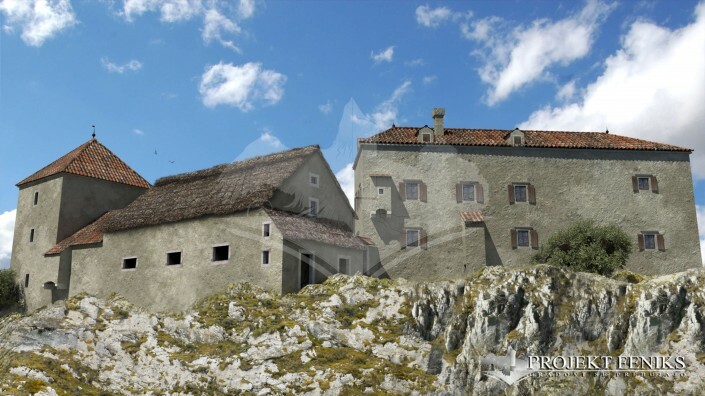 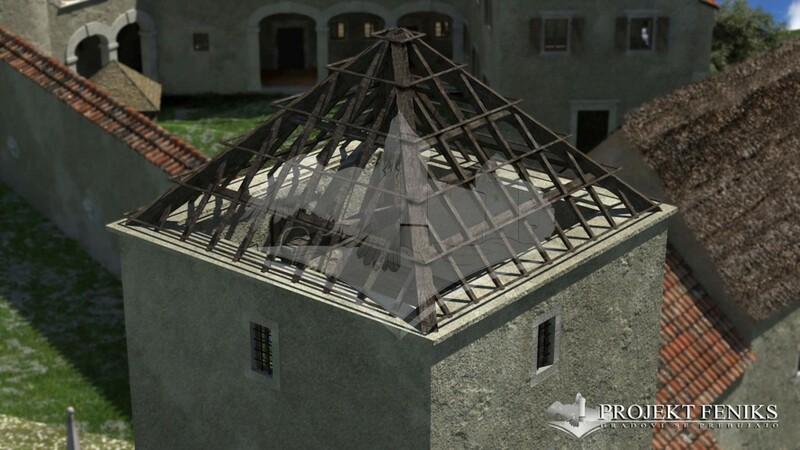 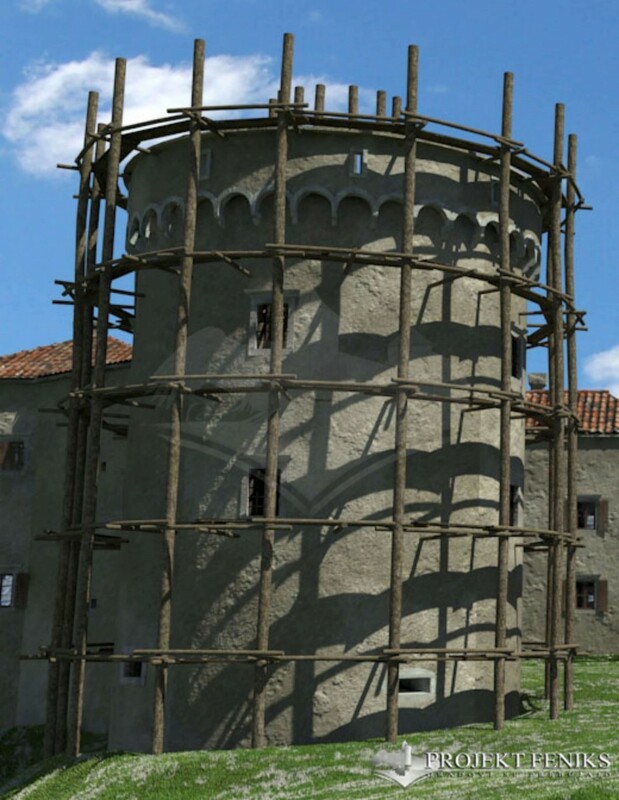 According to different professionals like castleologists, archeologs and historians, among them Igor Sapač, they all come to the same conclusion: is the best 3d castle reconstruction ever done in Slovenia.